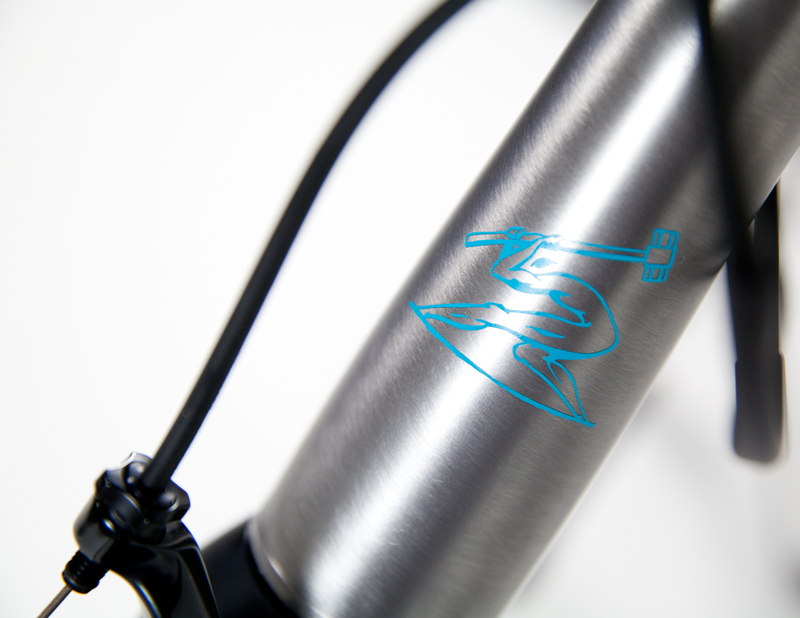 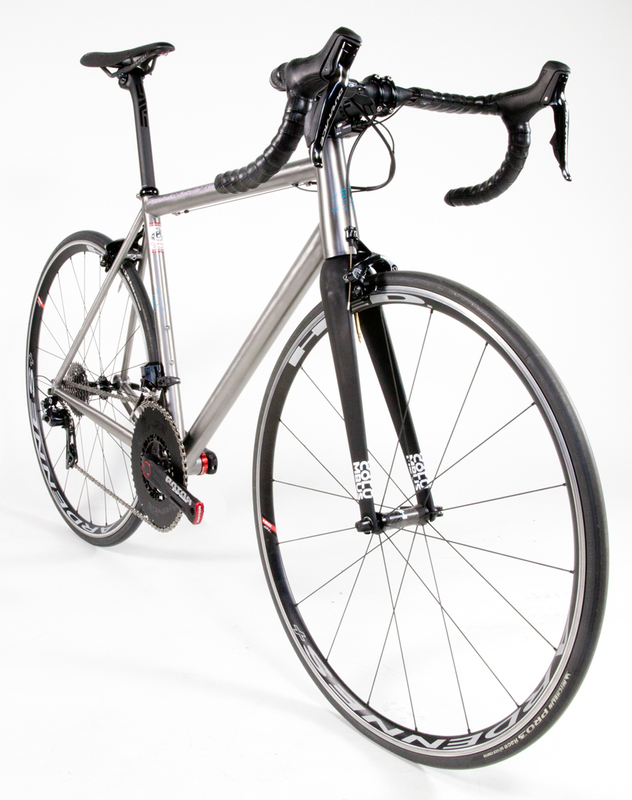 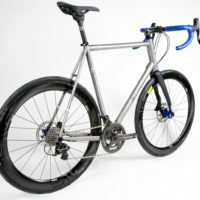 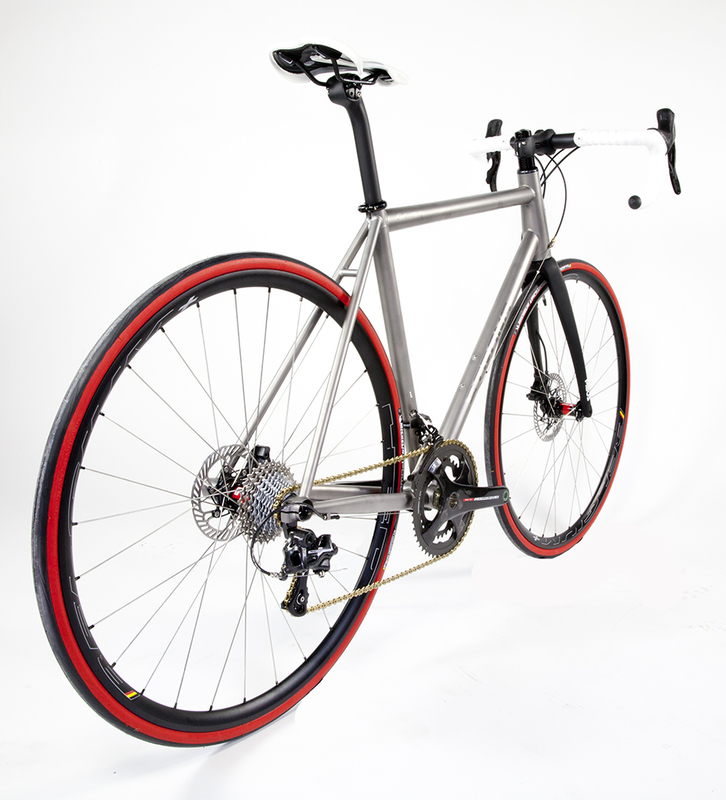 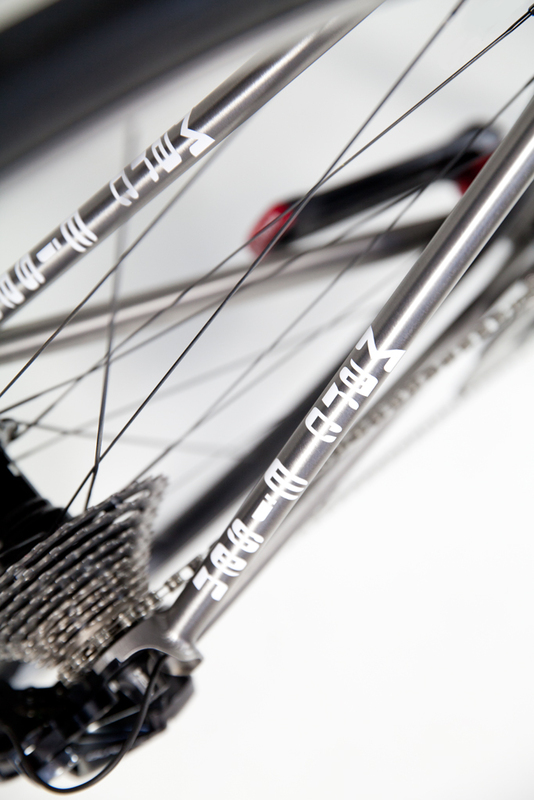 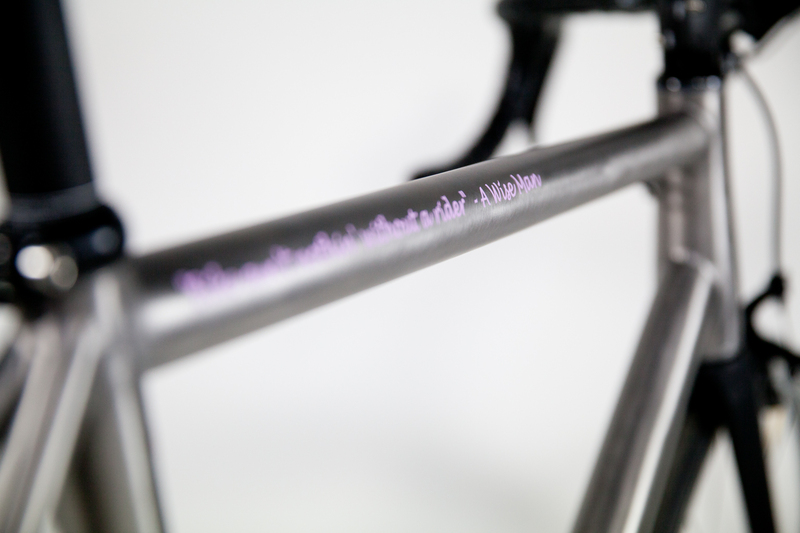 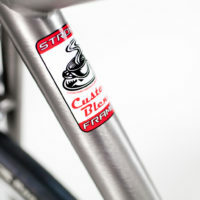 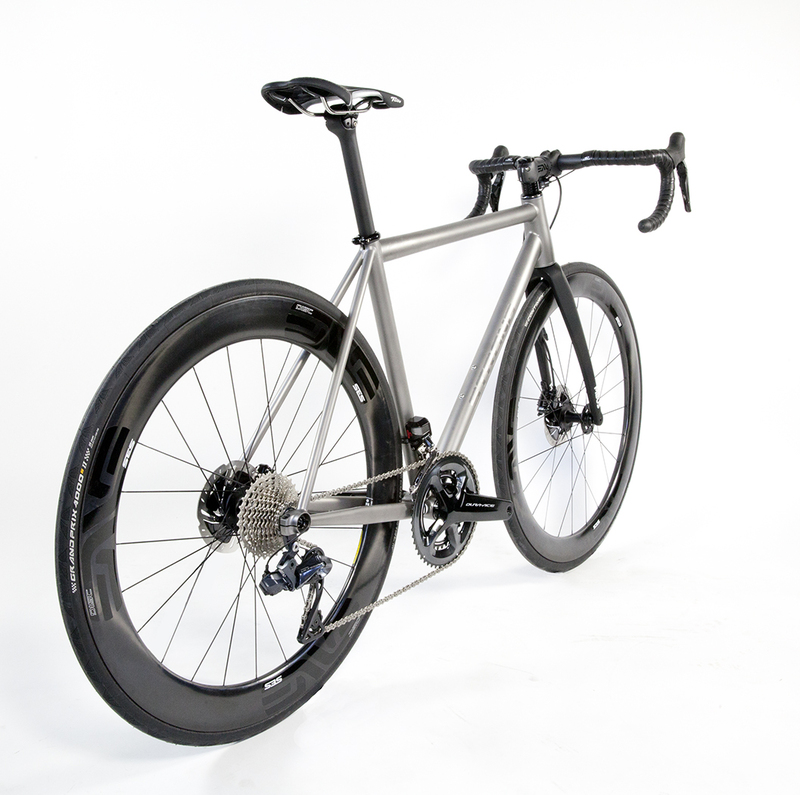 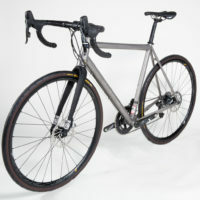 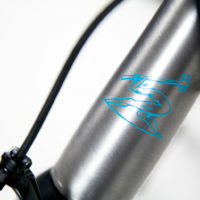 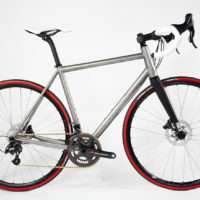 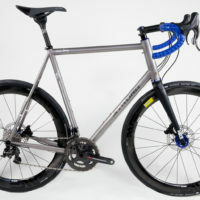 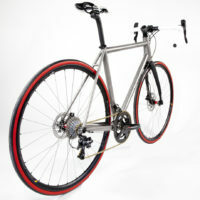 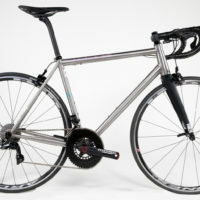 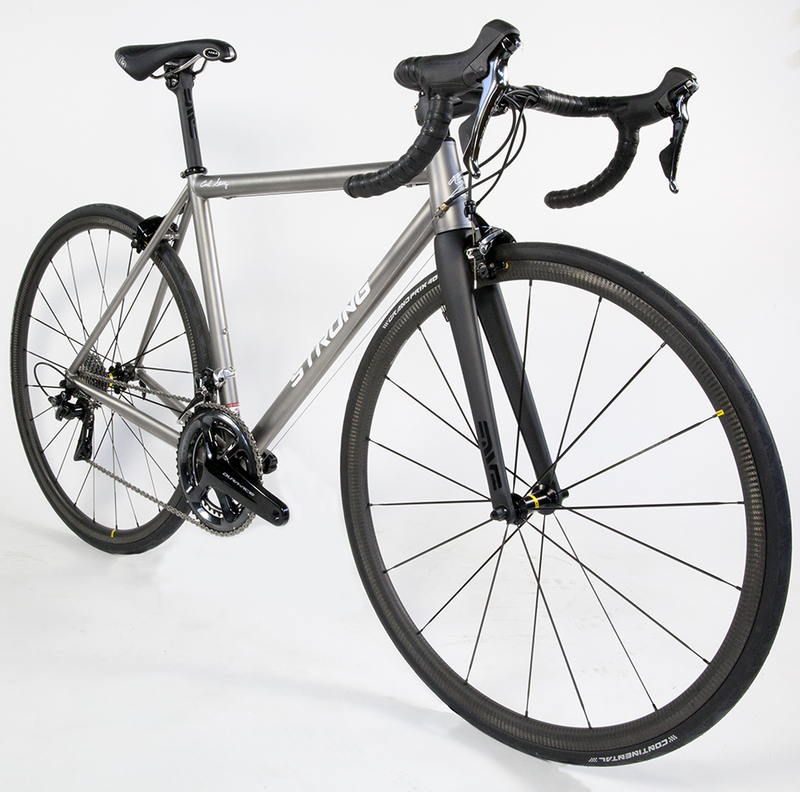 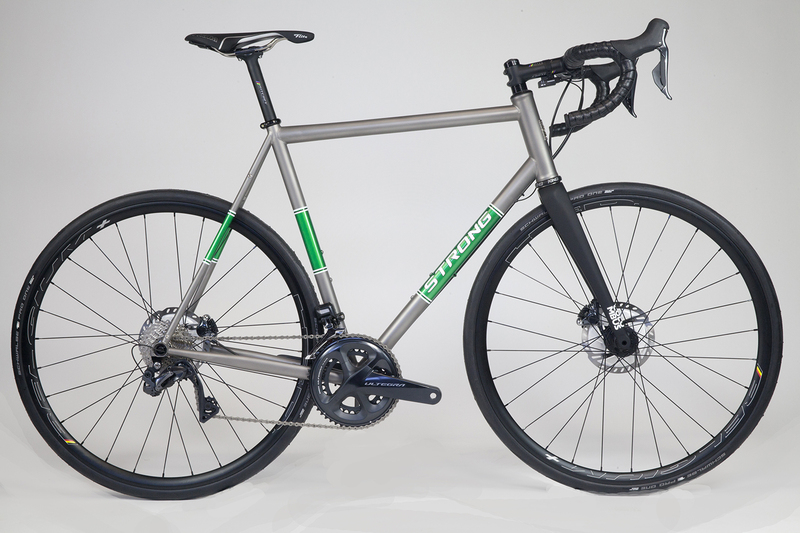 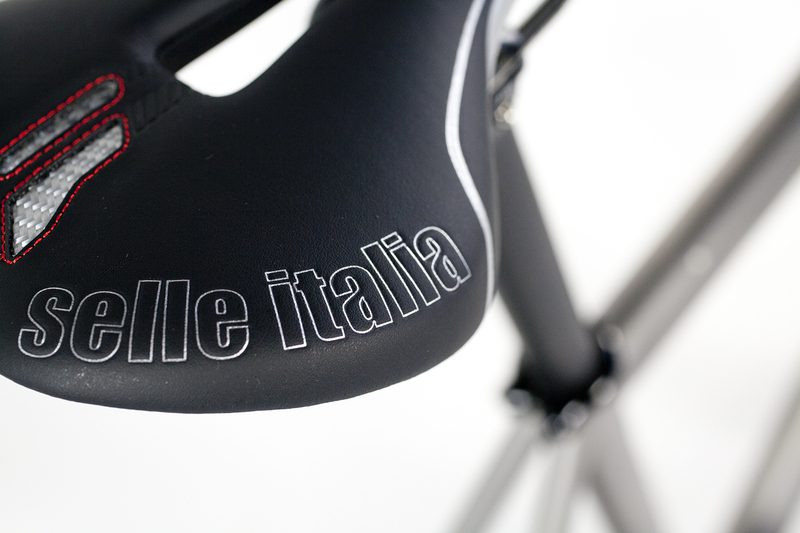 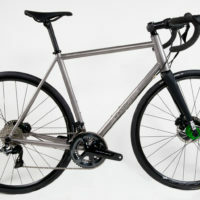 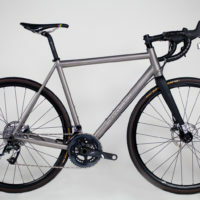 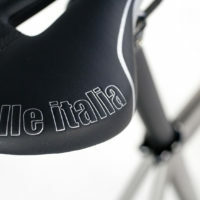 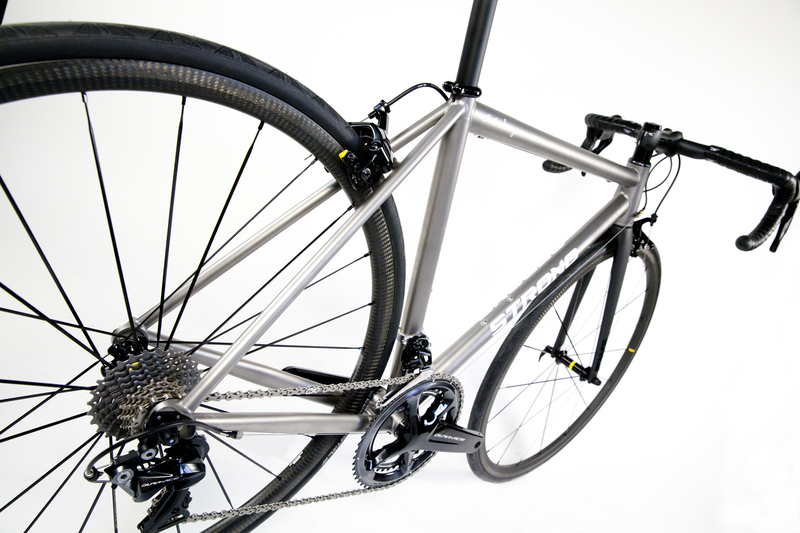 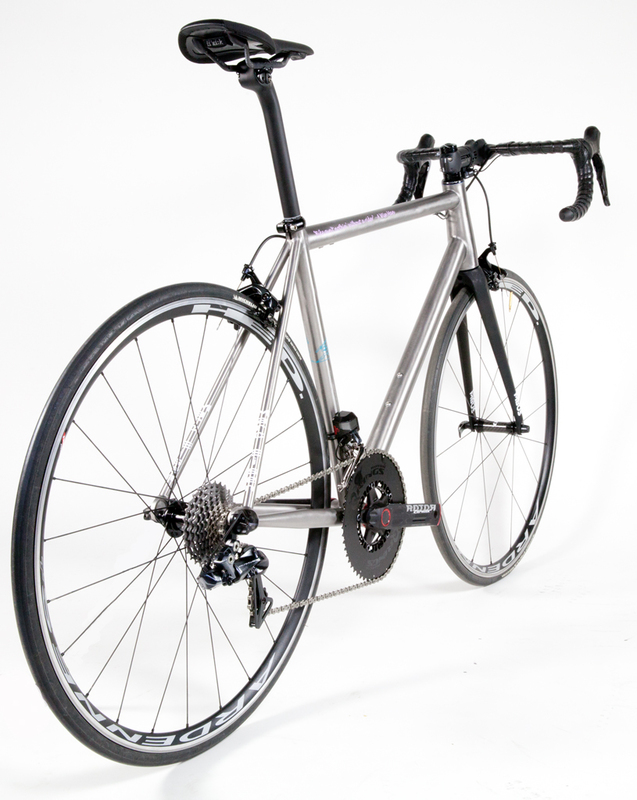 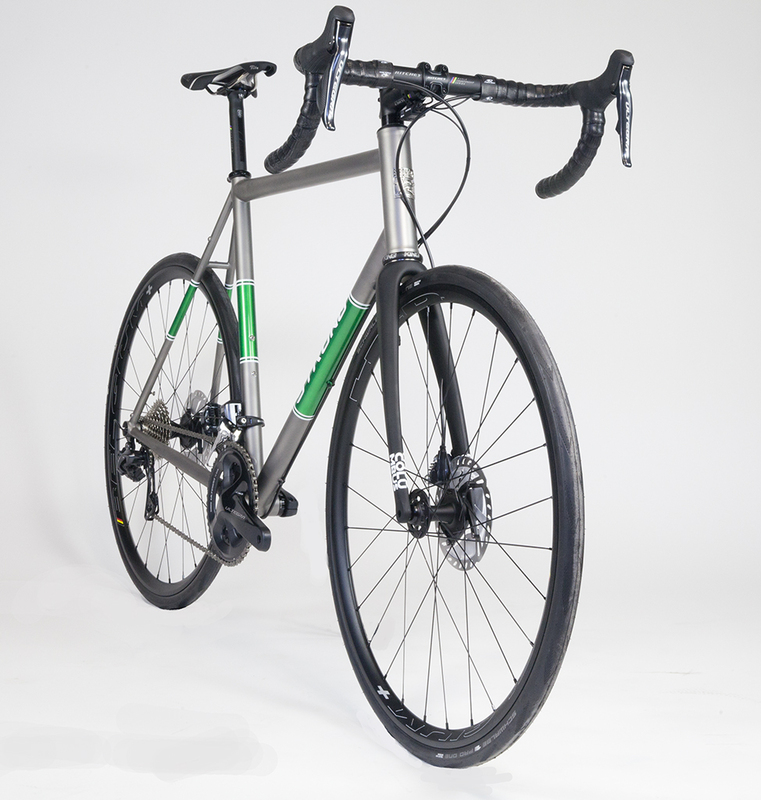 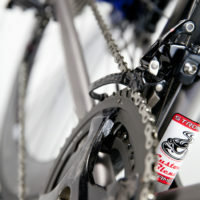 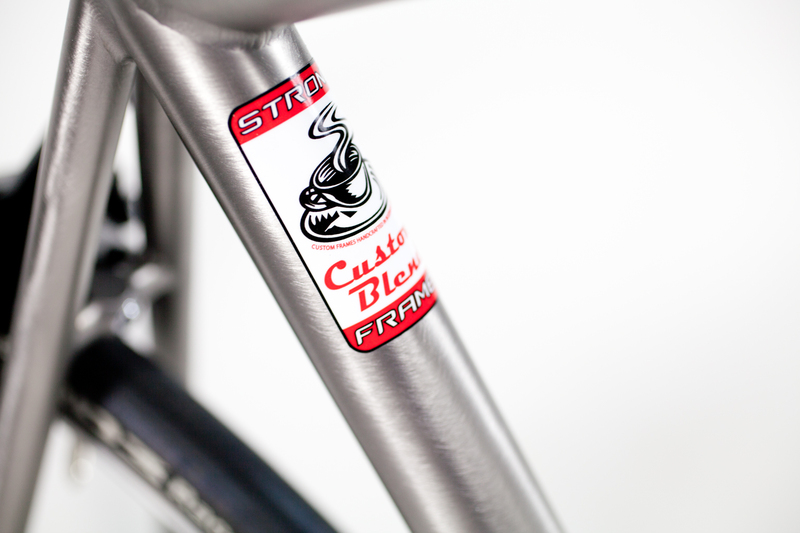 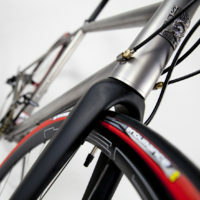 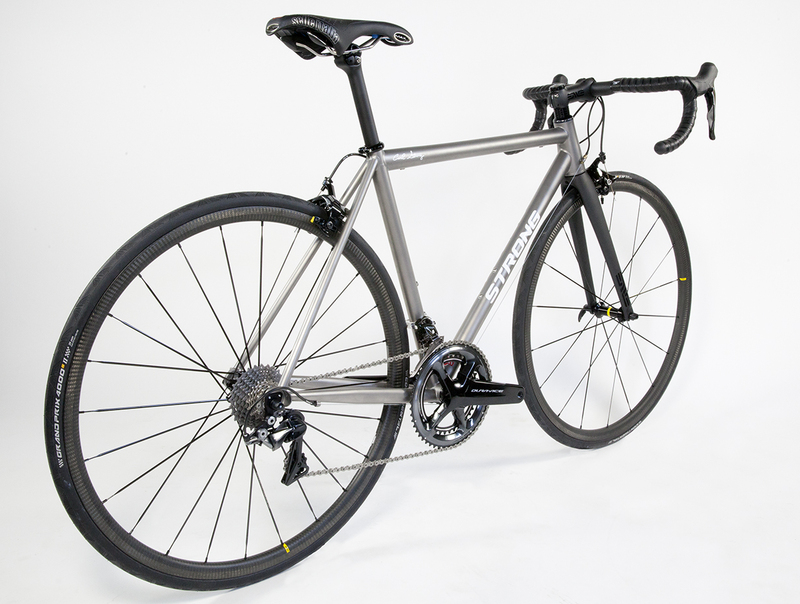 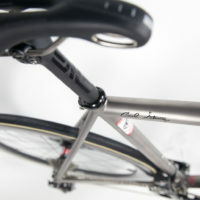 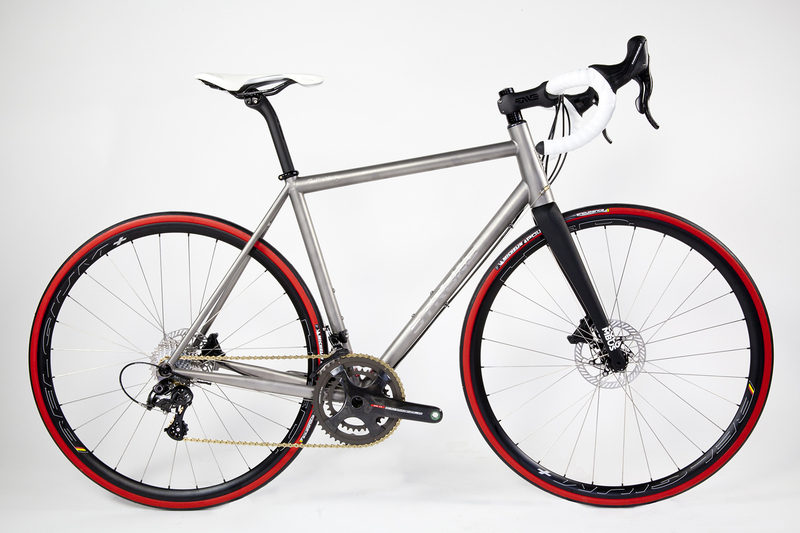 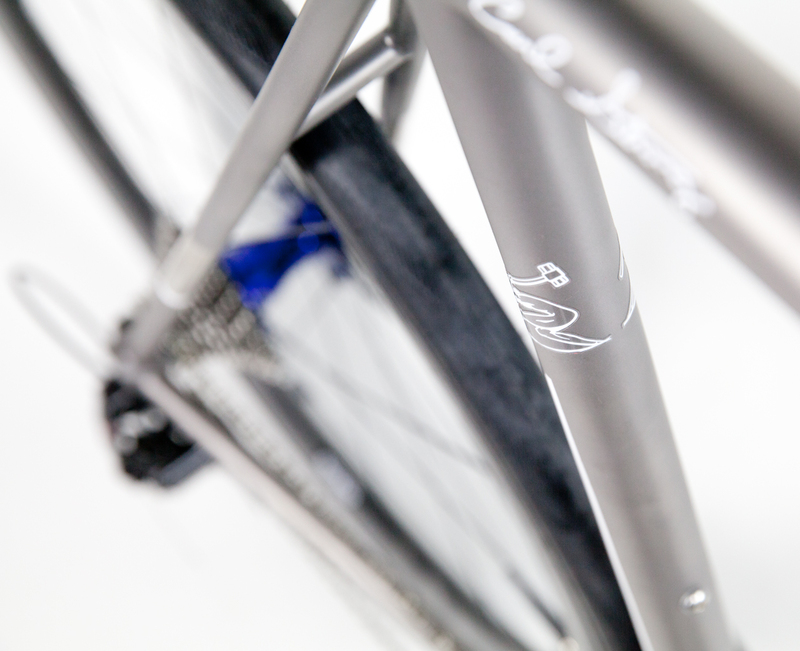 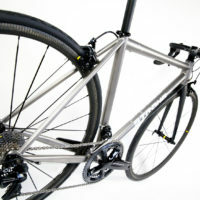 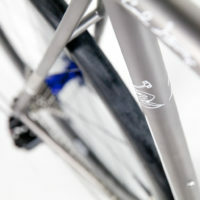 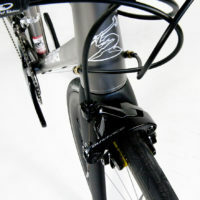 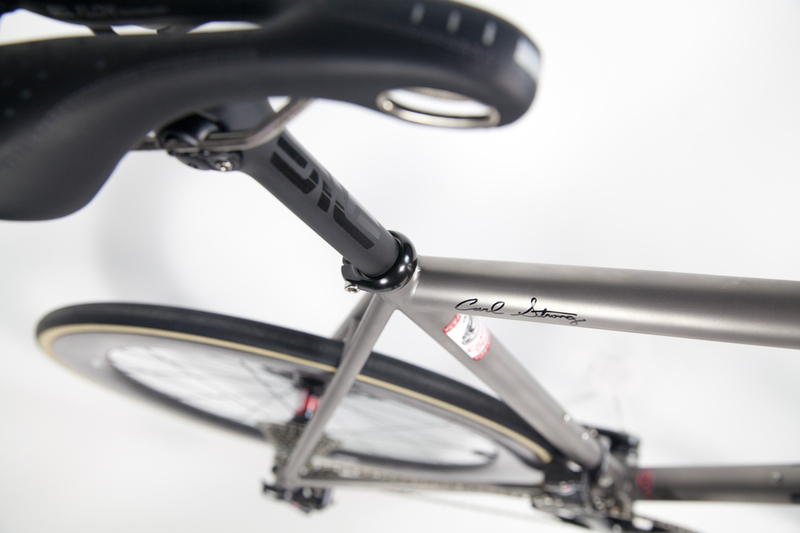 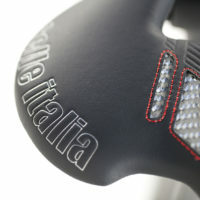 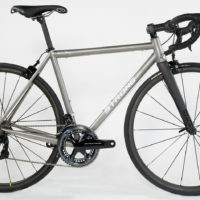 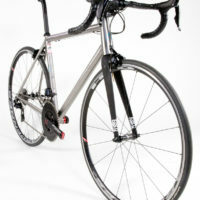 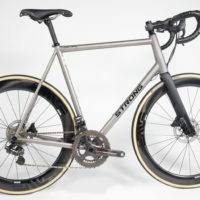 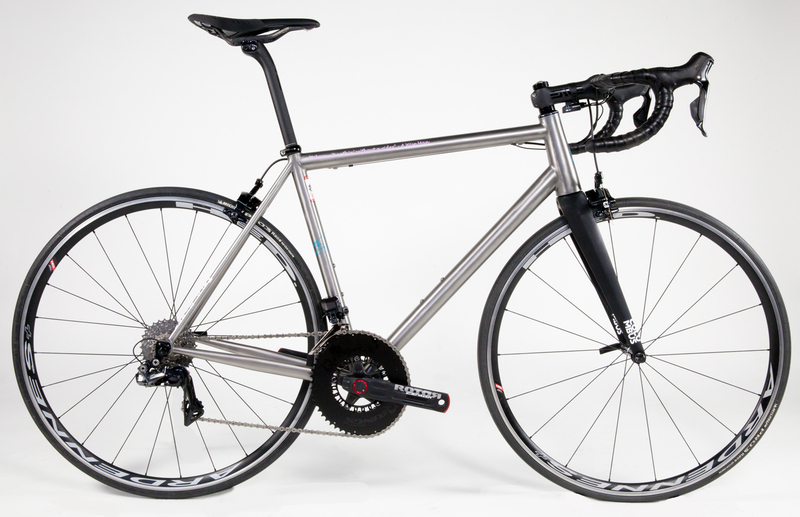 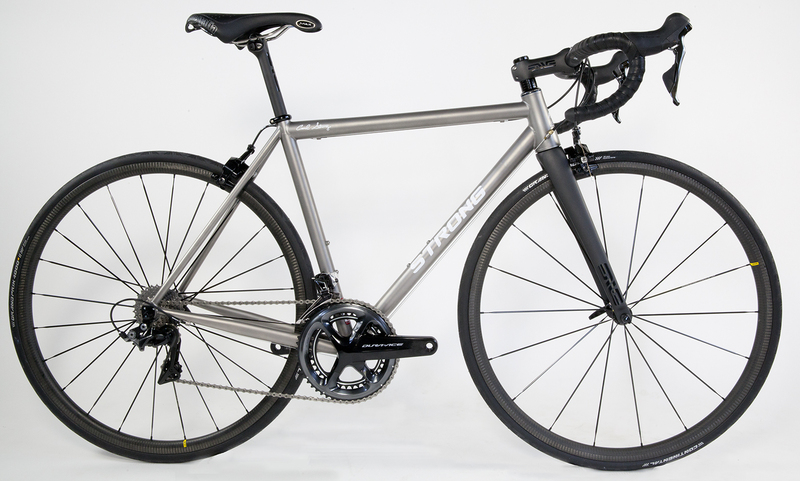 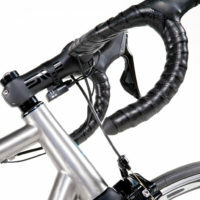 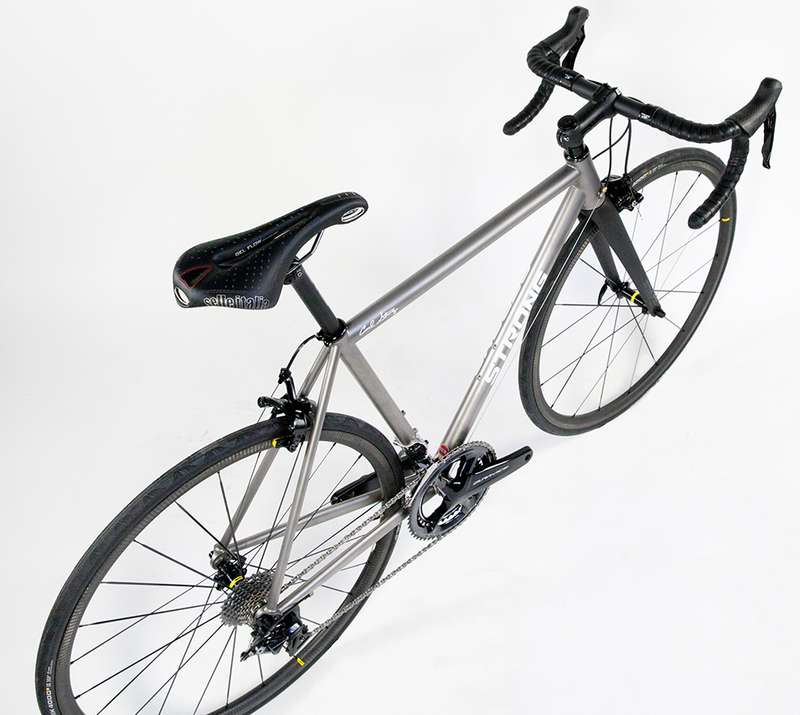 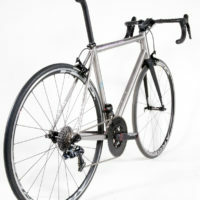 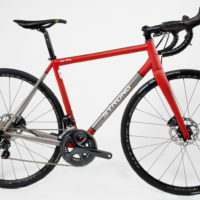 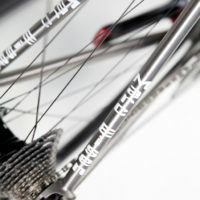 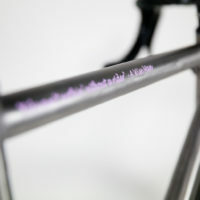 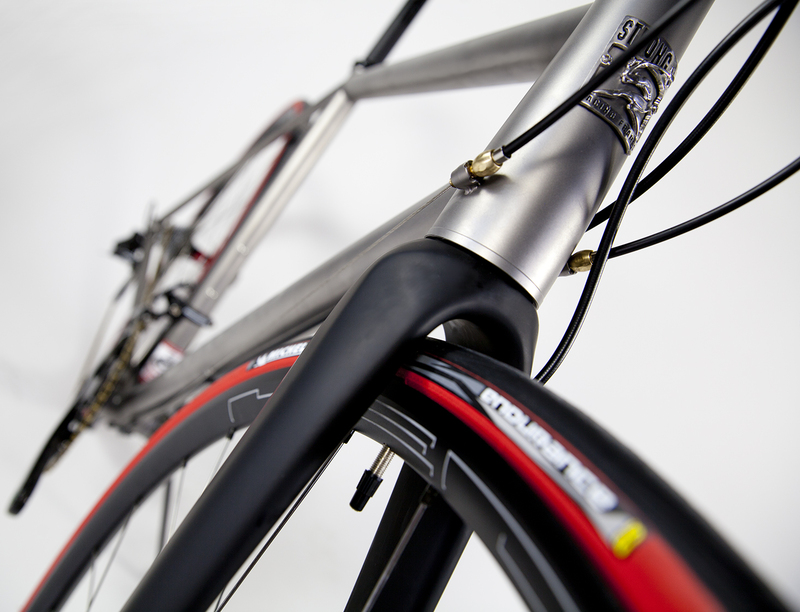 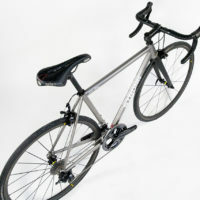 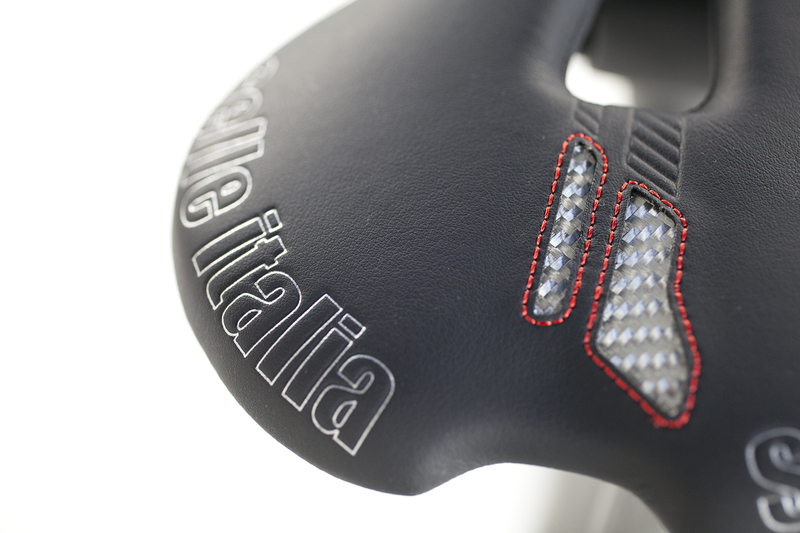 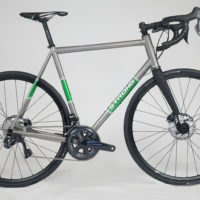 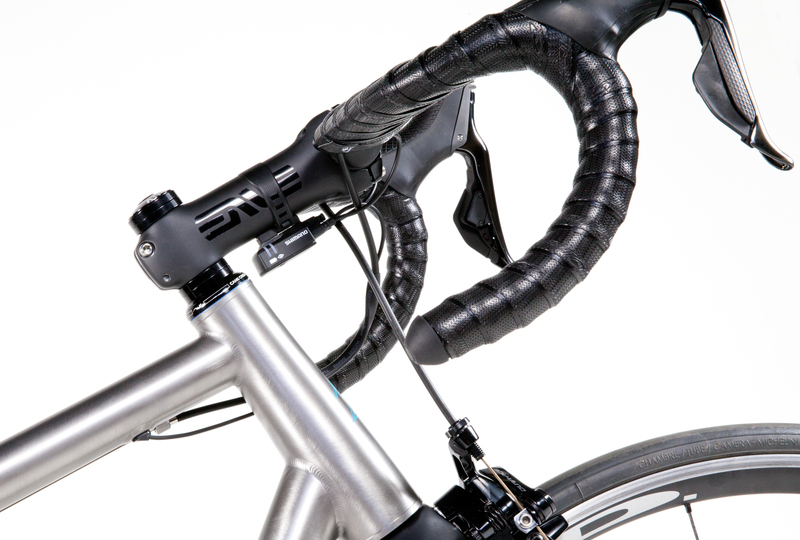 Double Butted Titanium Road Bike. 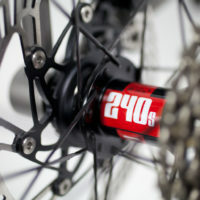 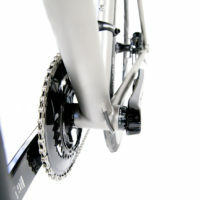 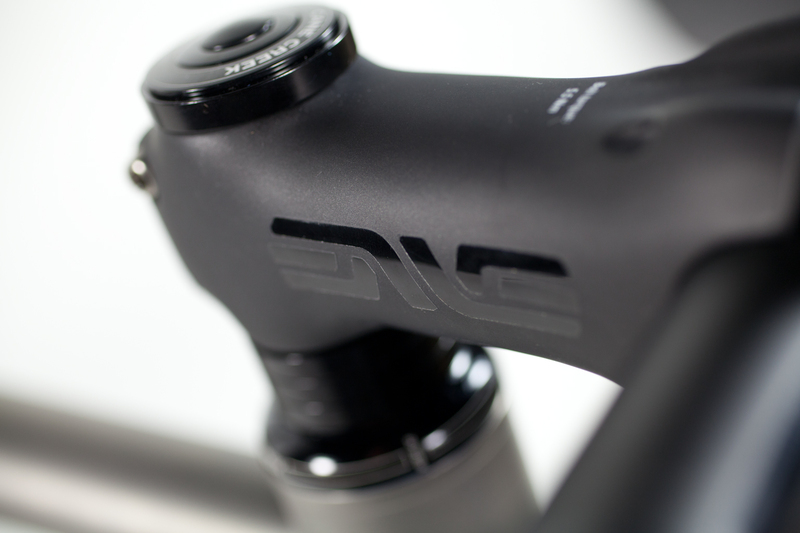 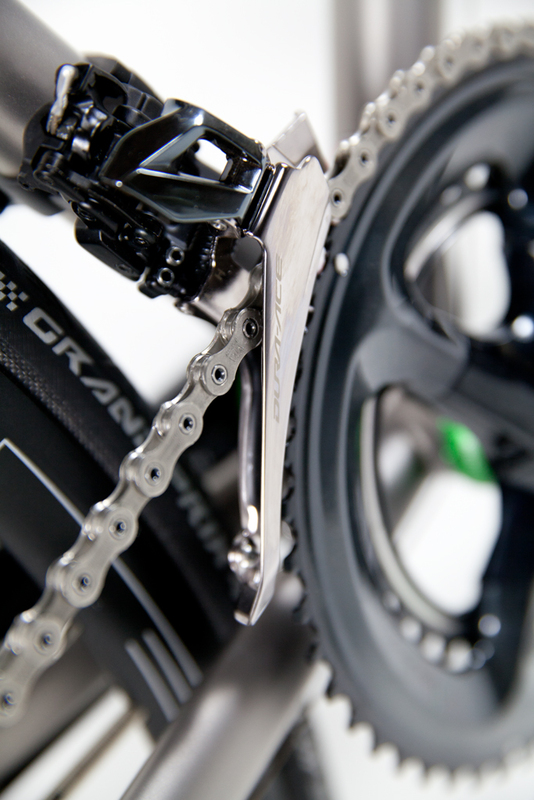 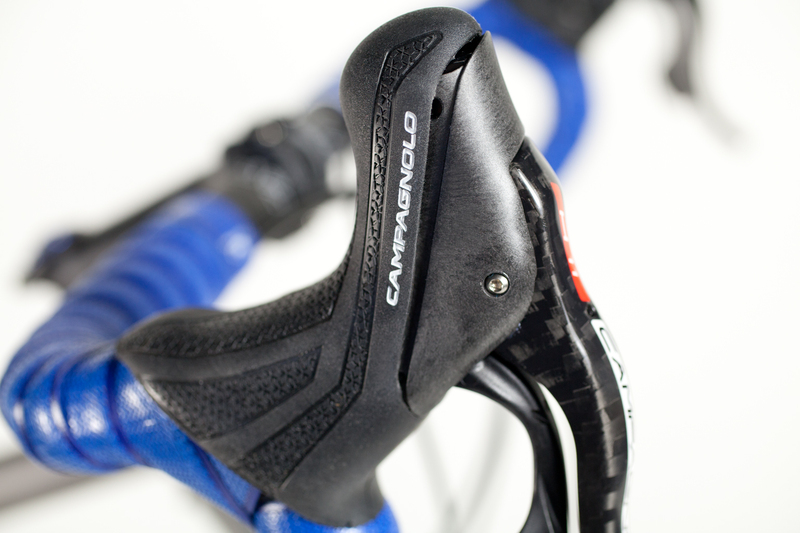 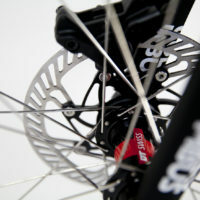 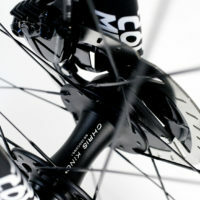 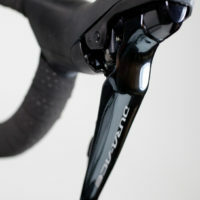 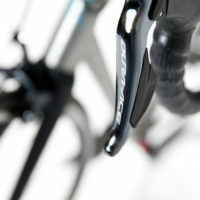 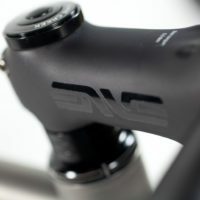 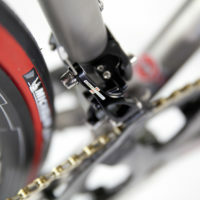 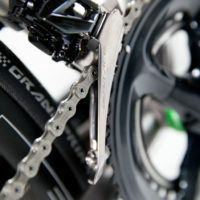 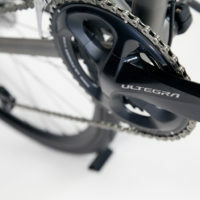 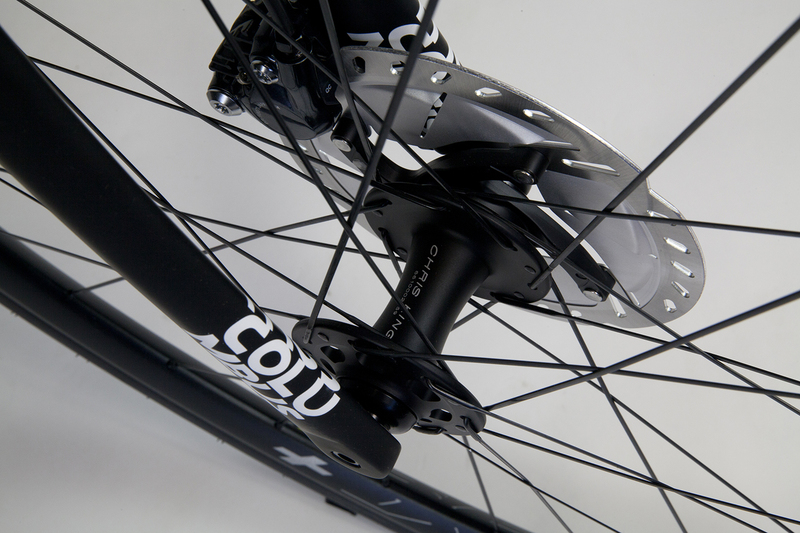 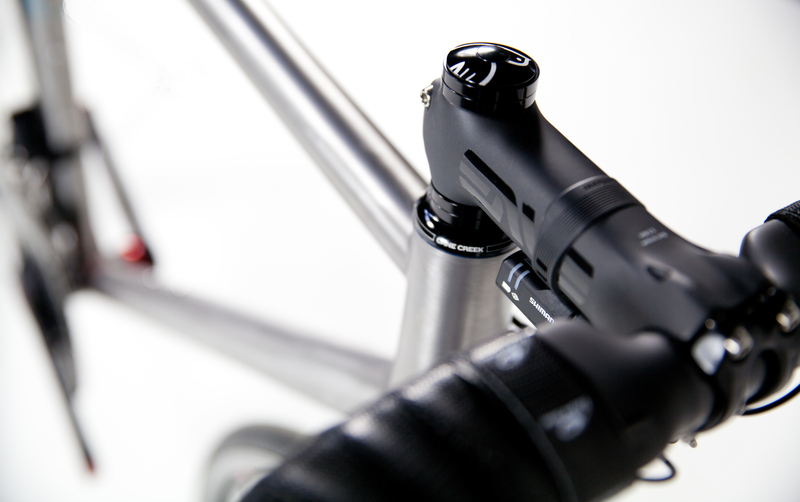 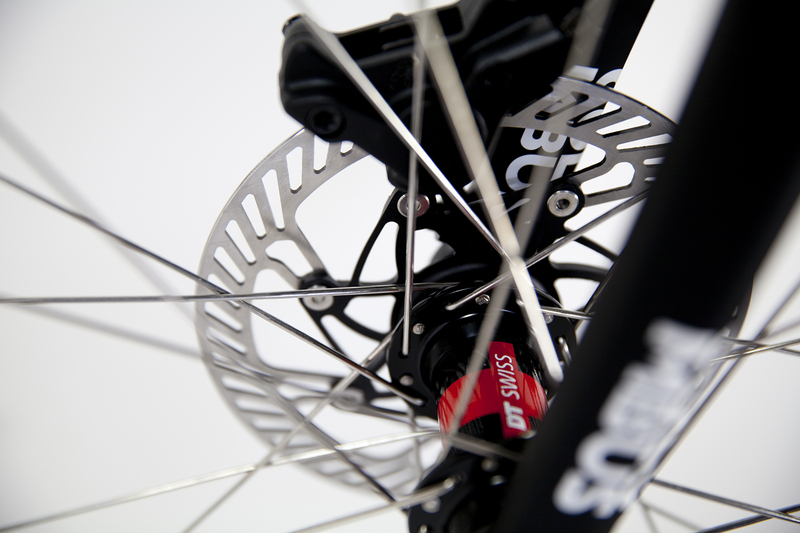 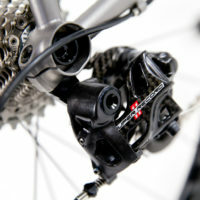 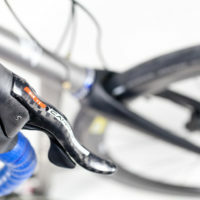 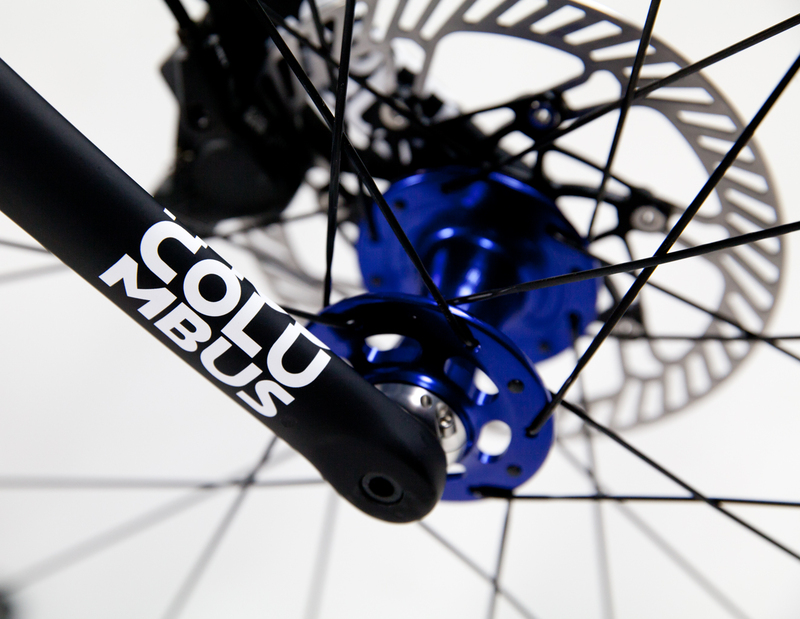 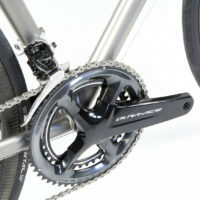 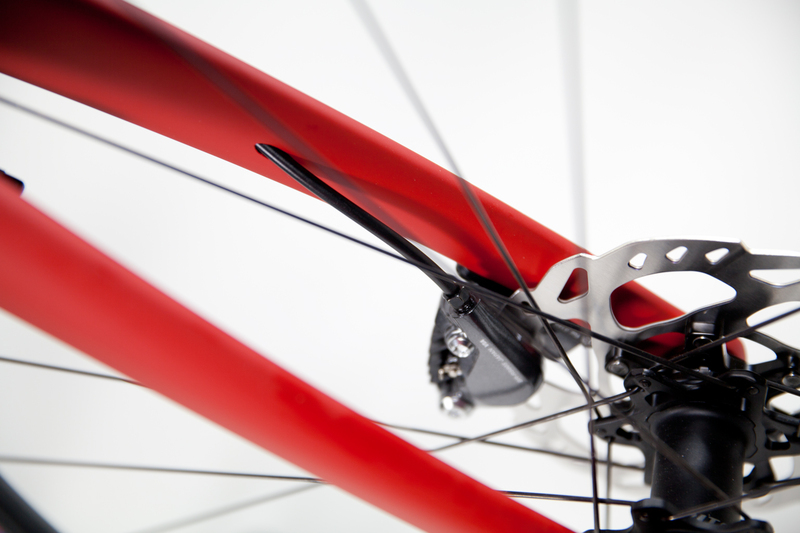 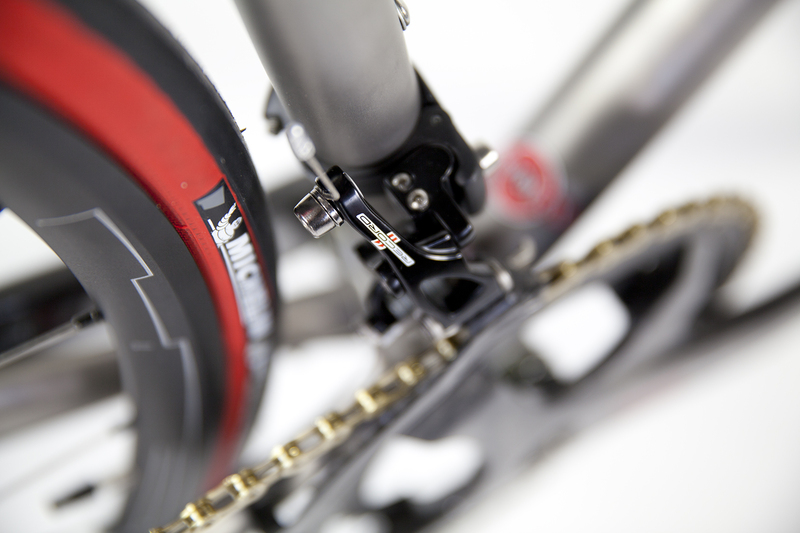 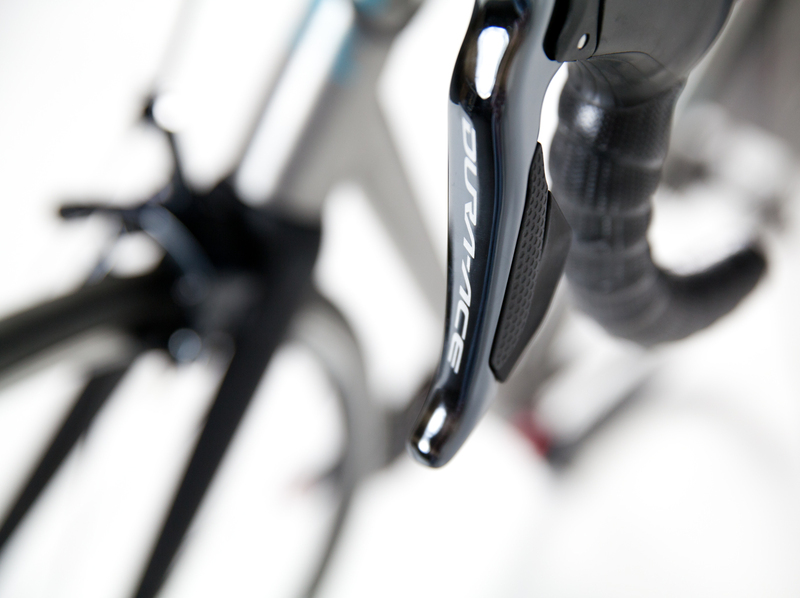 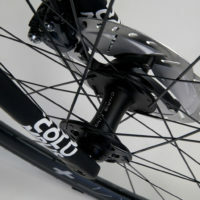 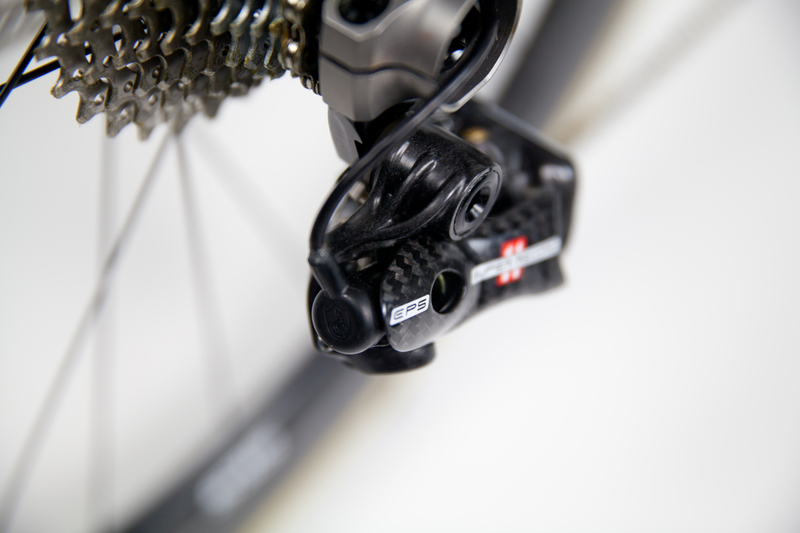 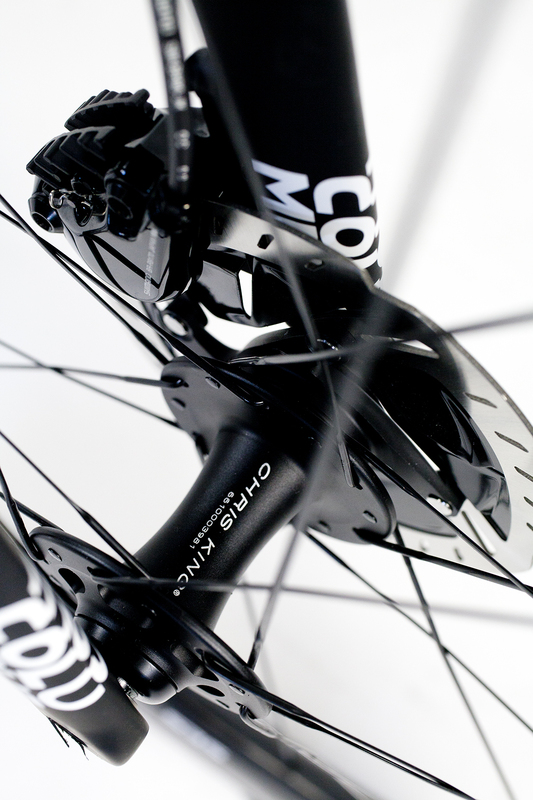 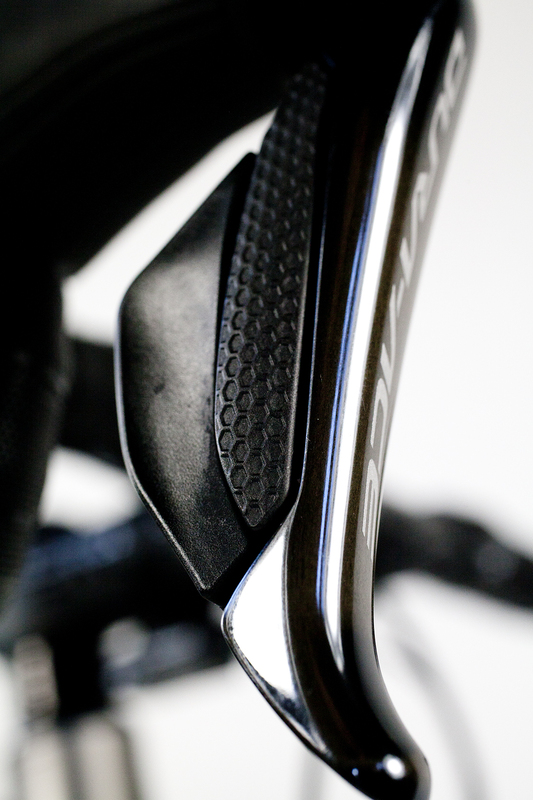 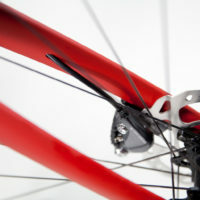 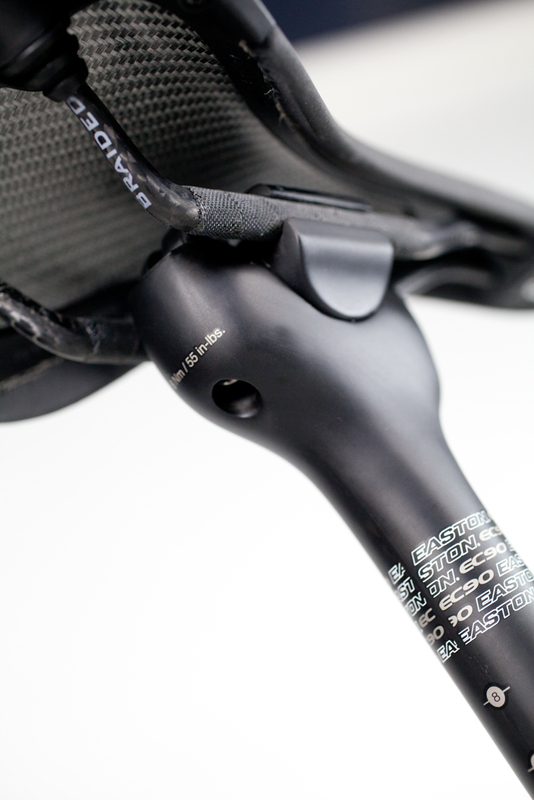 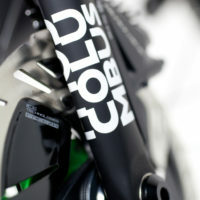 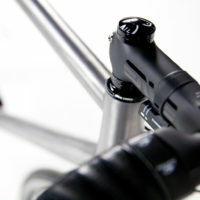 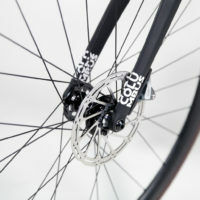 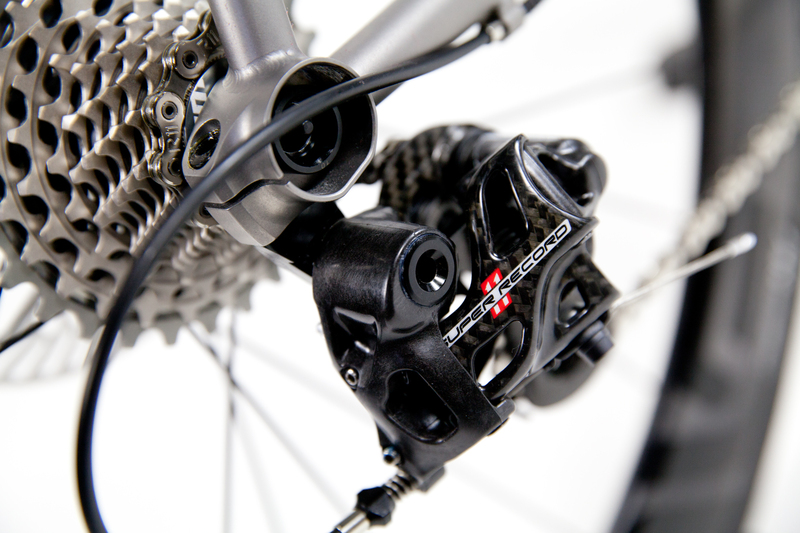 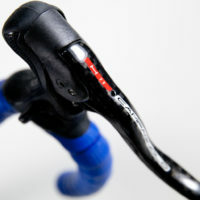 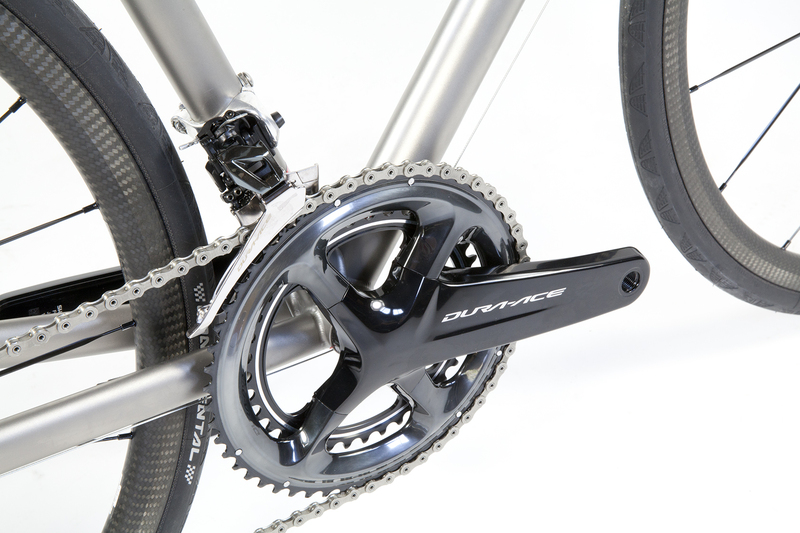 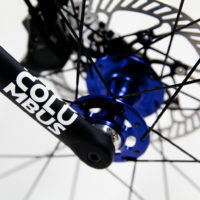 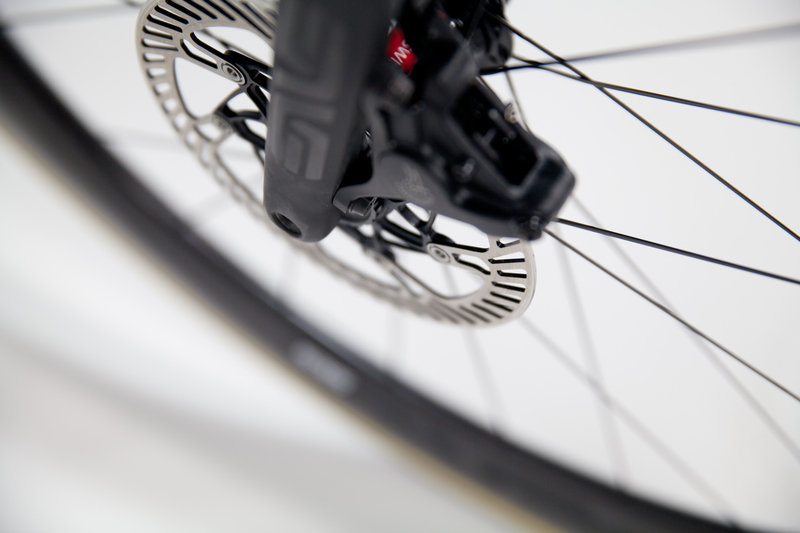 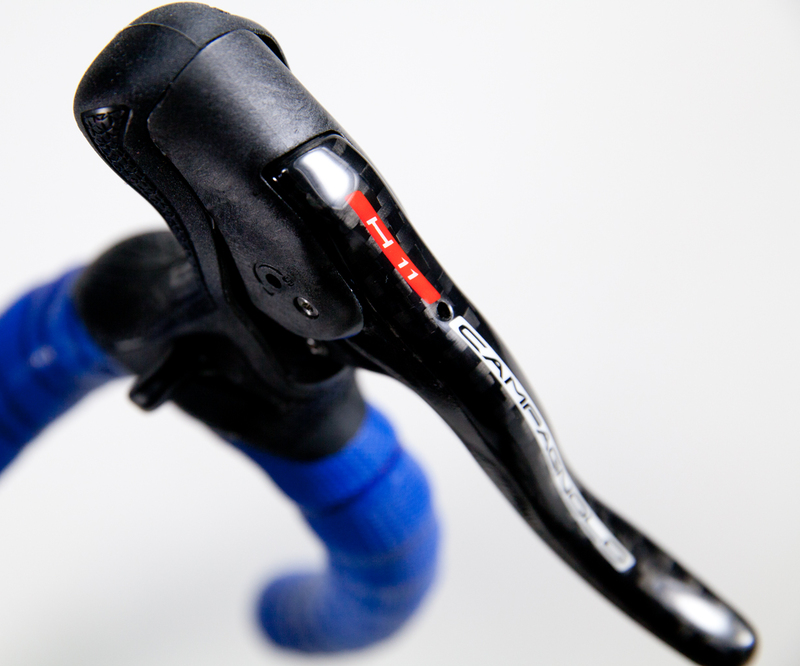 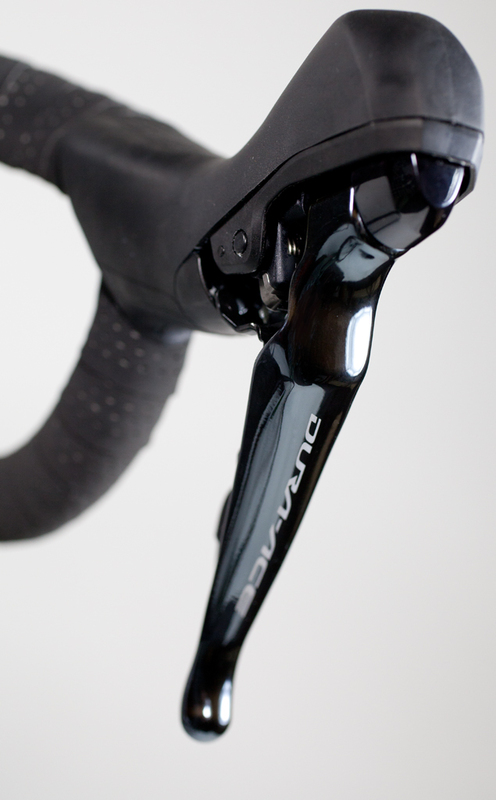 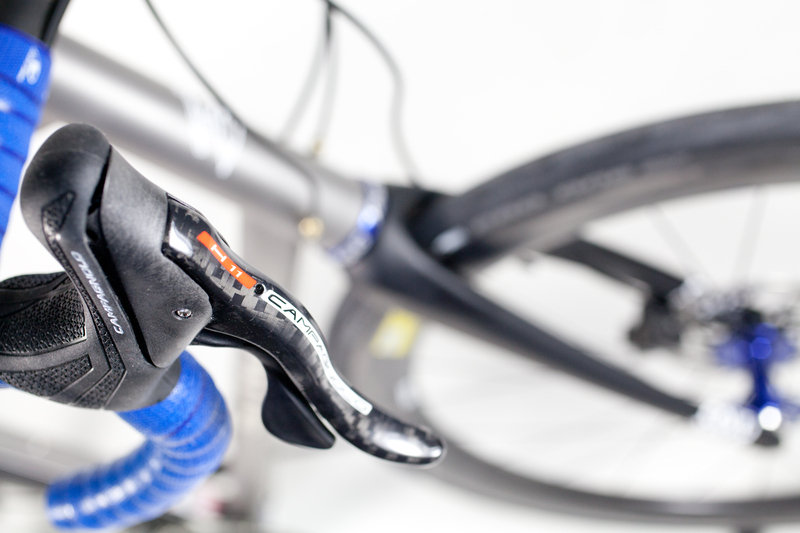 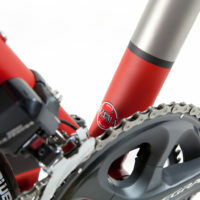 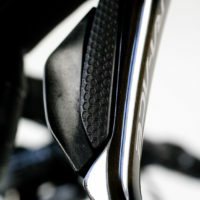 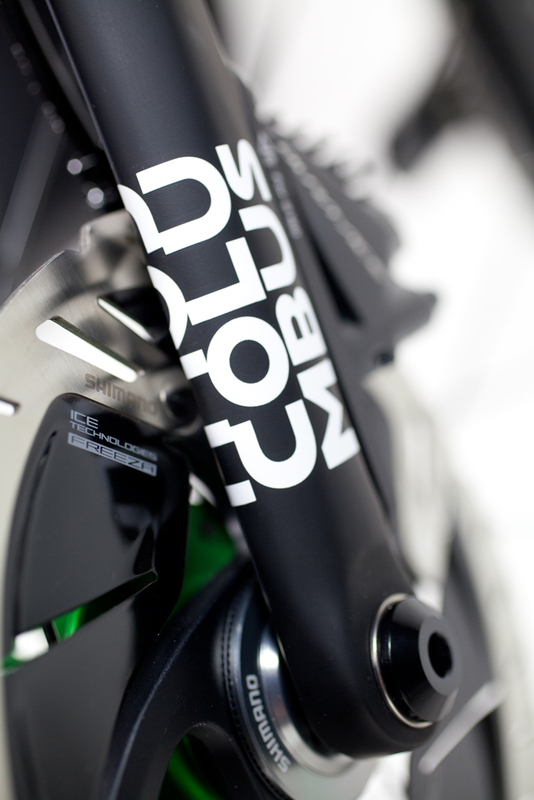 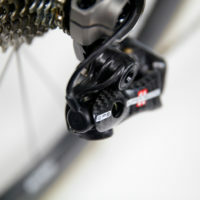 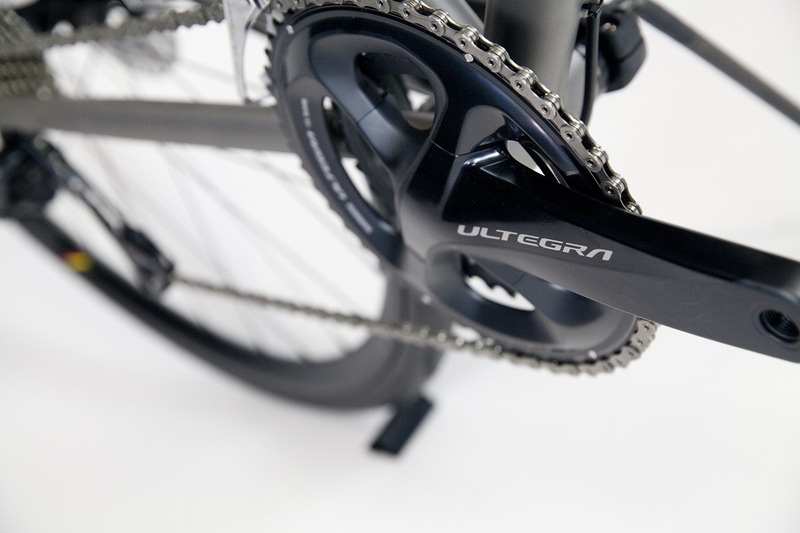 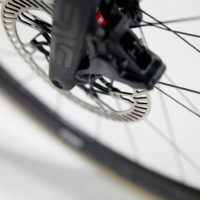 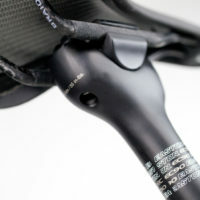 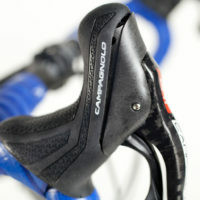 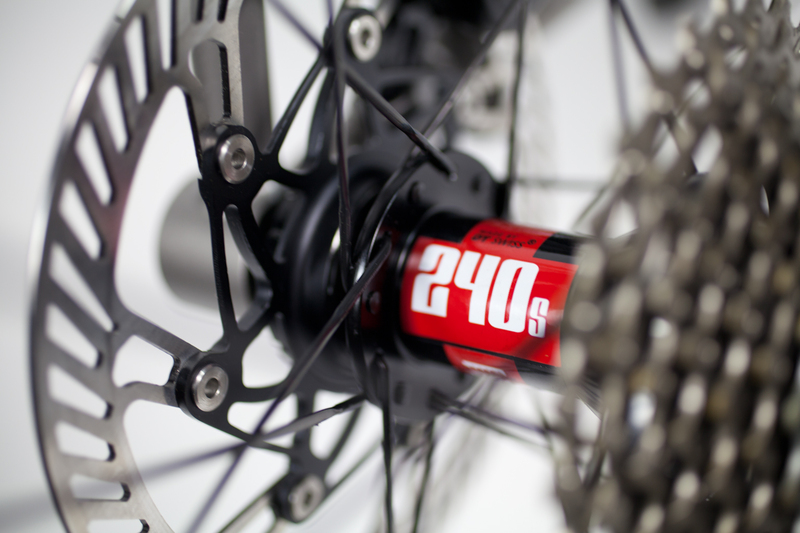 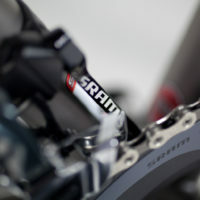 Shimano Dura Ace Di2, Columbus Futura Fork and Rotor Cranks. 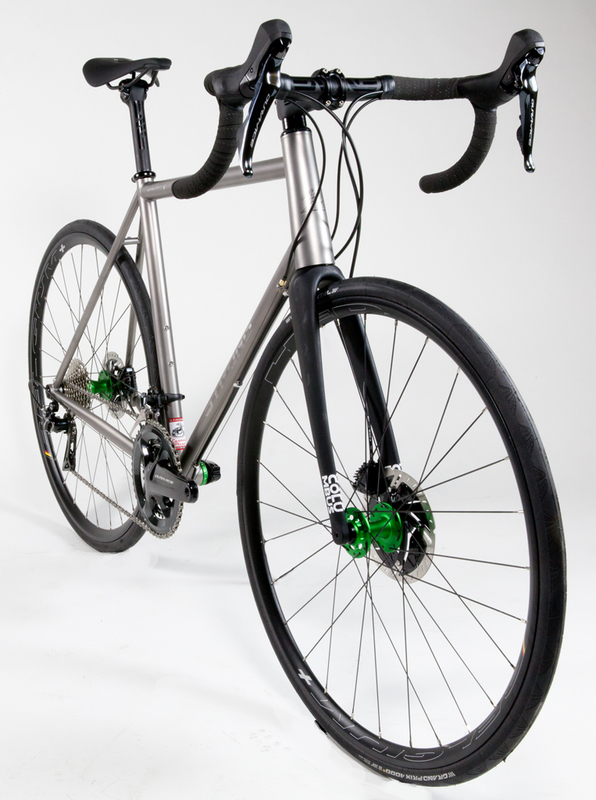 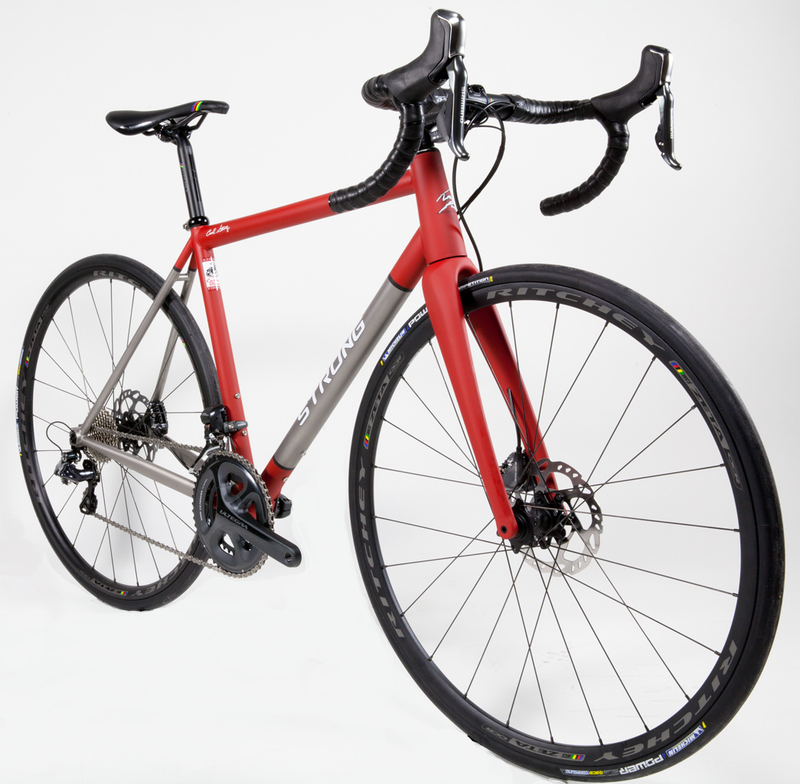 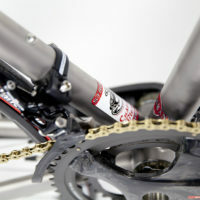 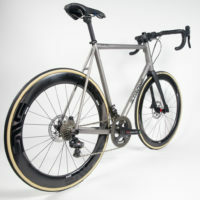 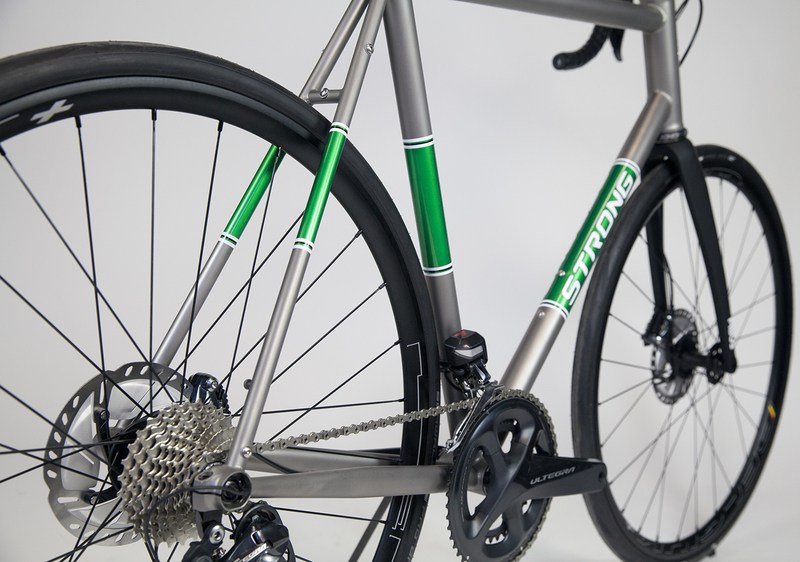 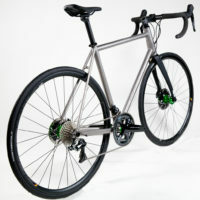 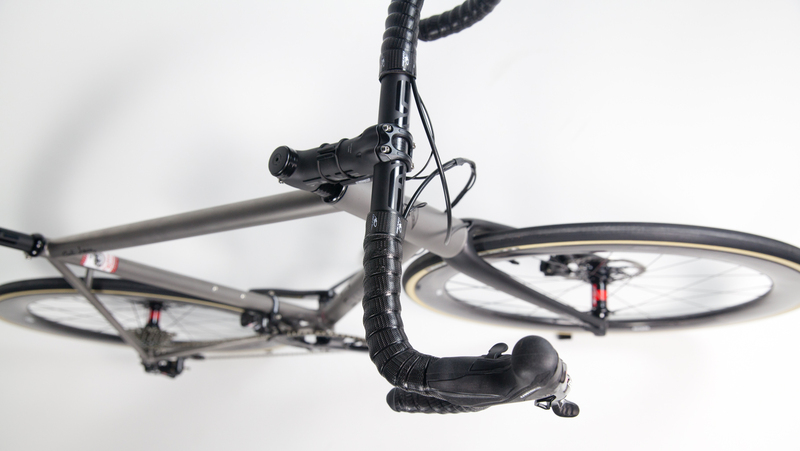 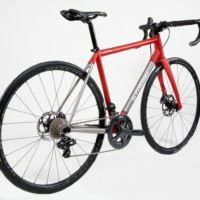 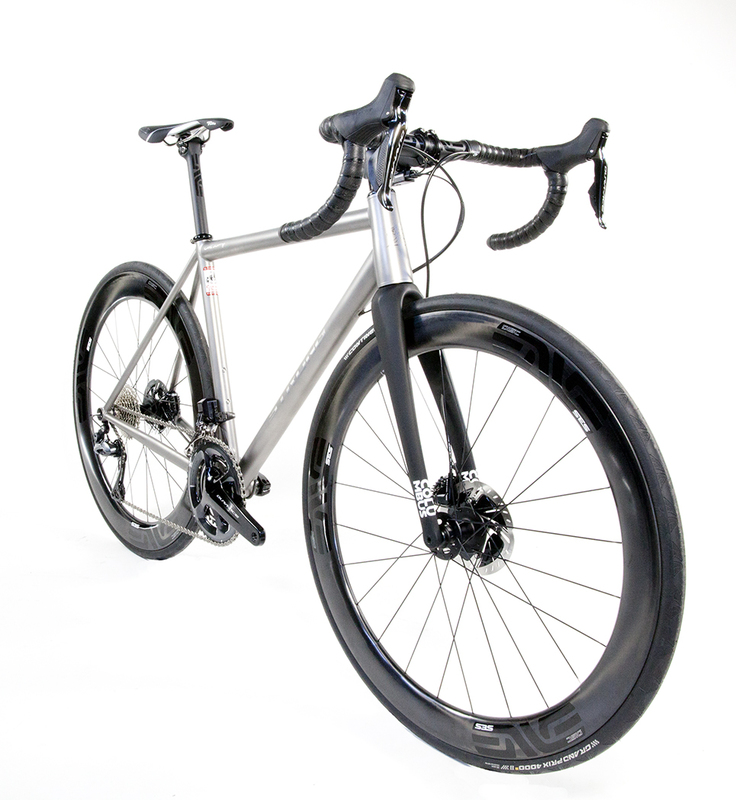 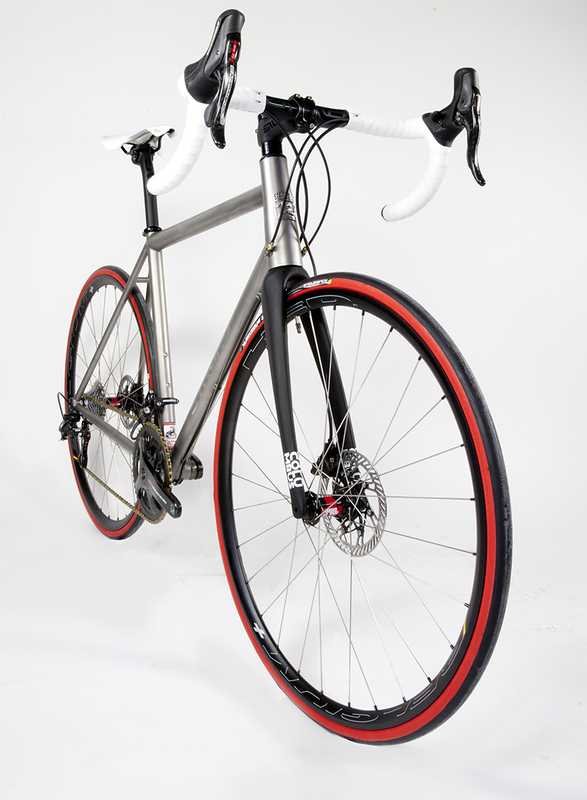 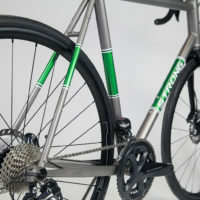 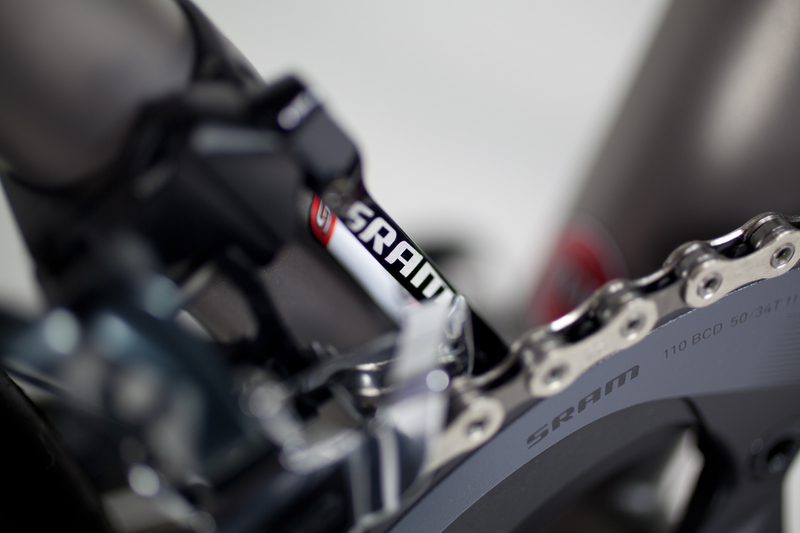 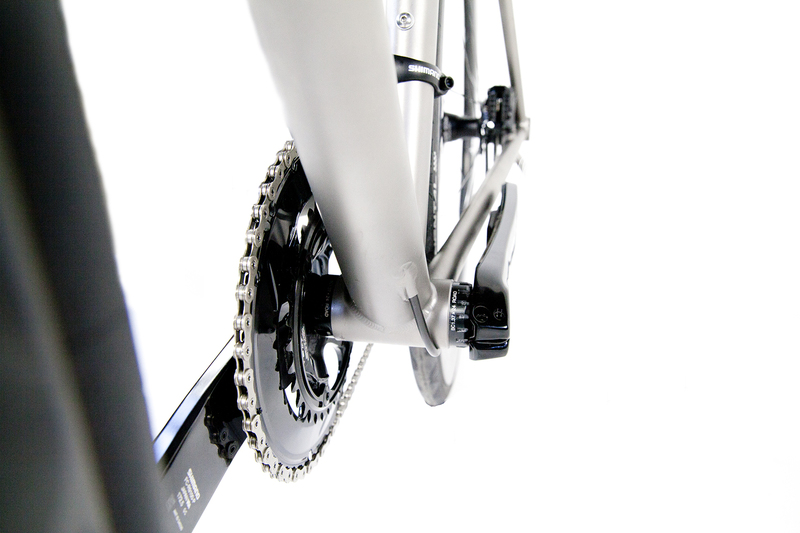 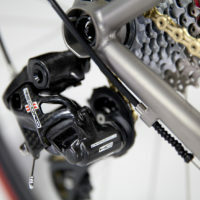 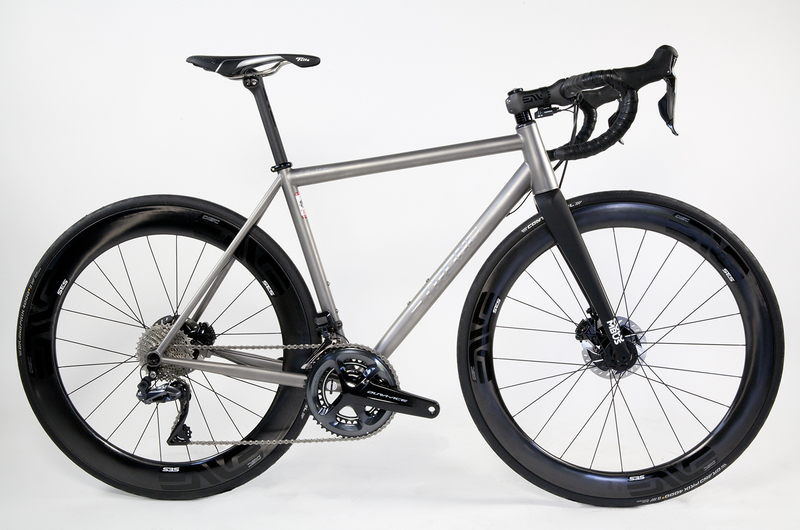 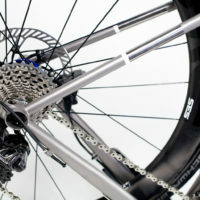 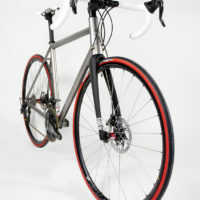 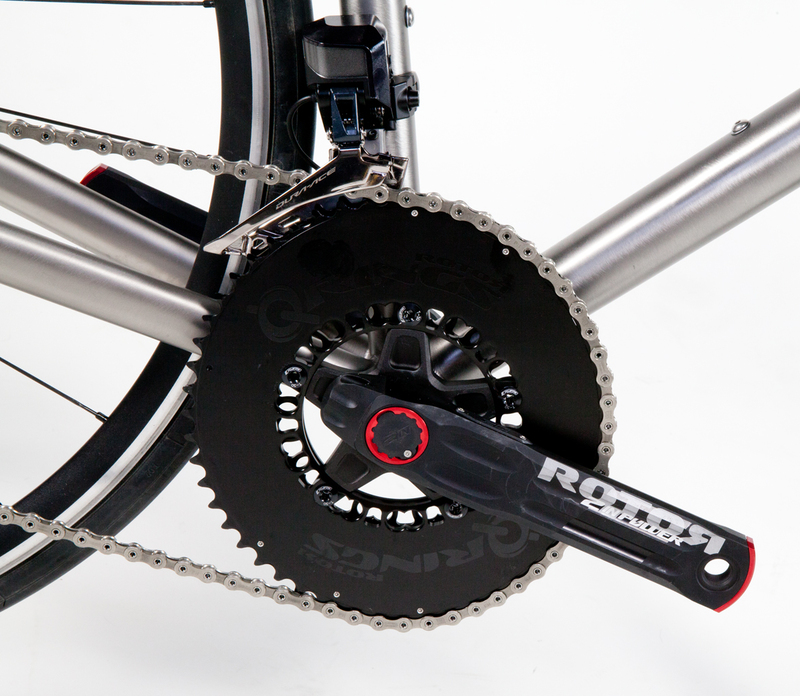 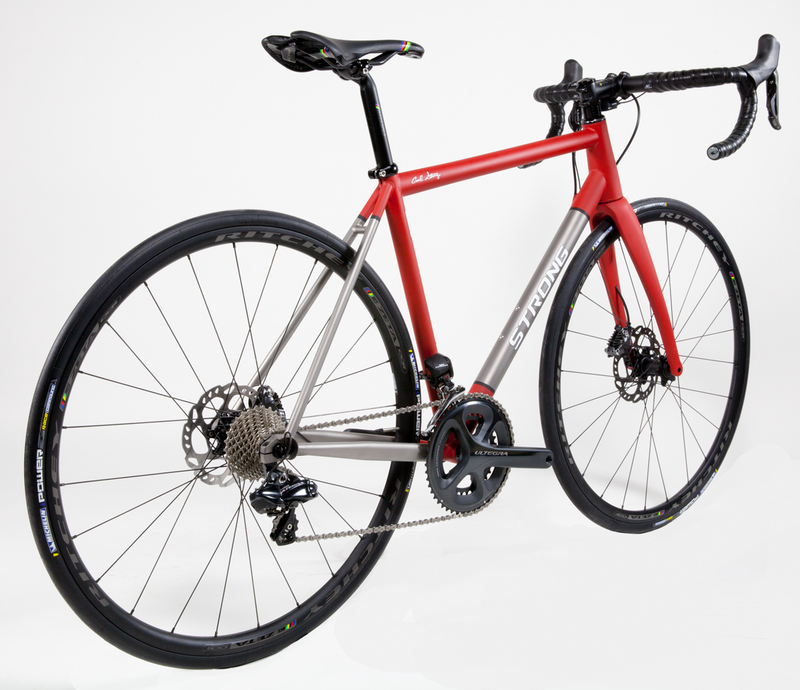 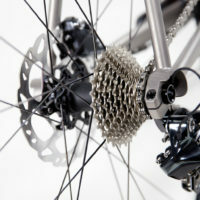 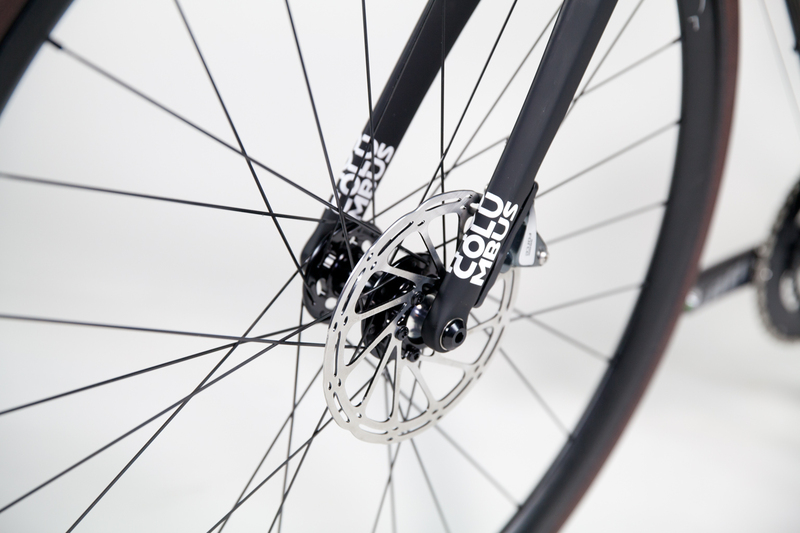 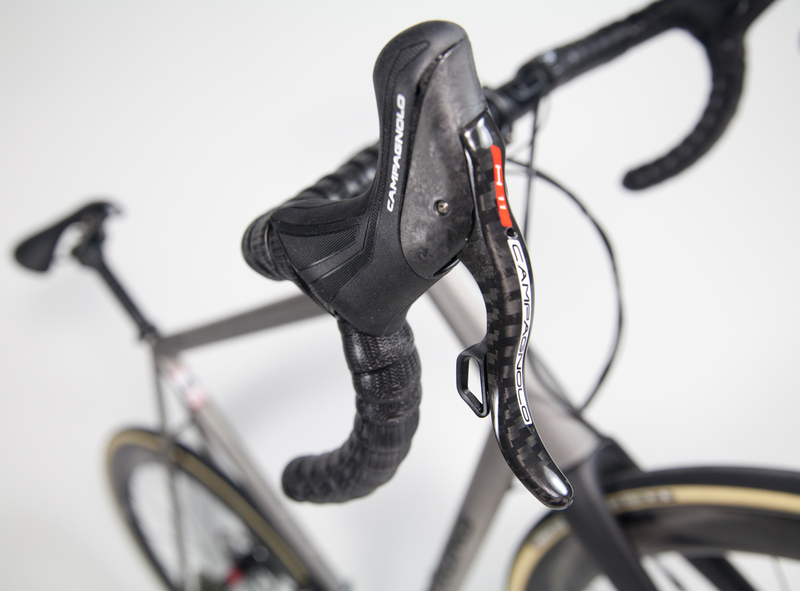 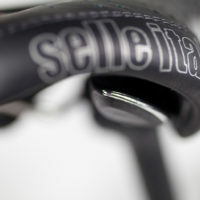 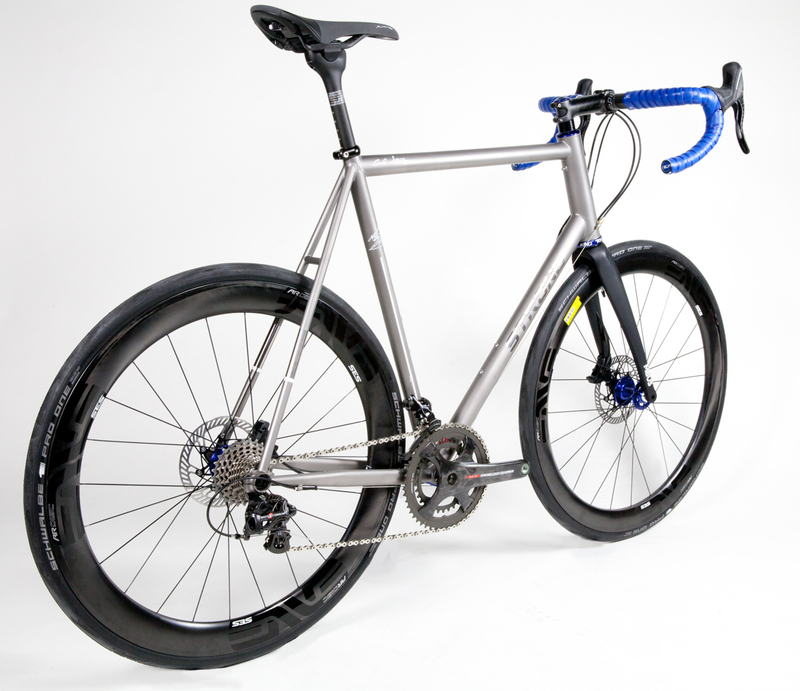 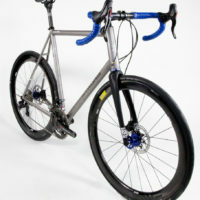 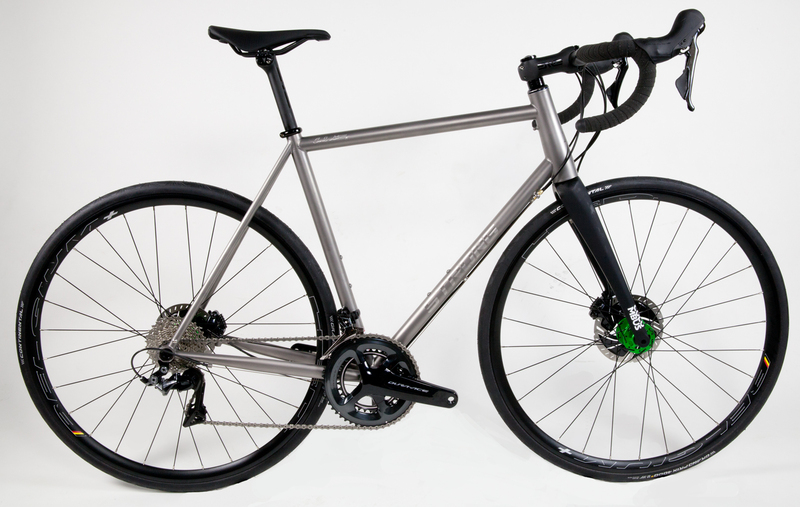 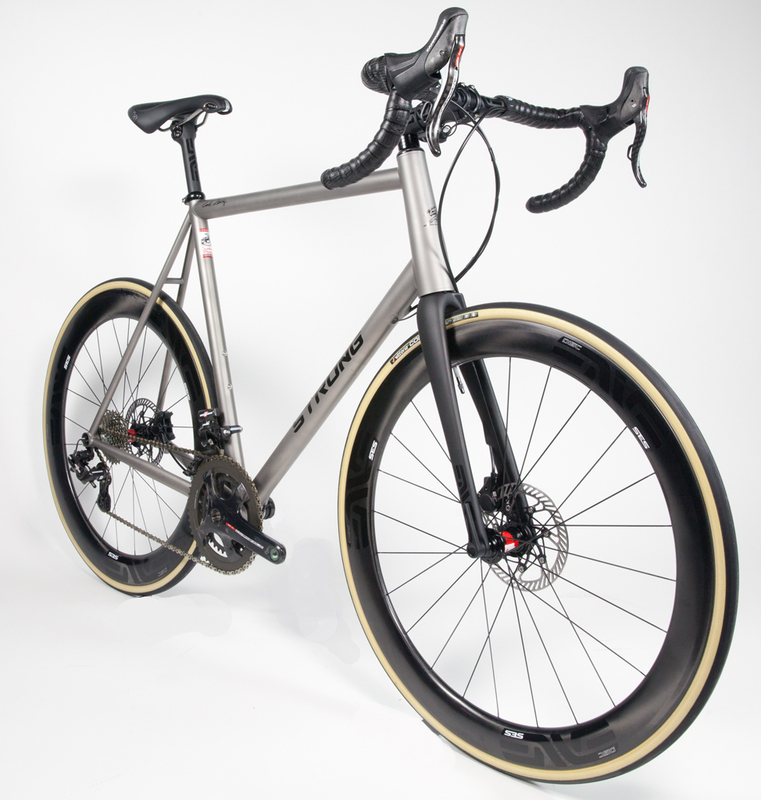 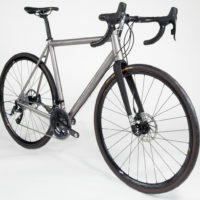 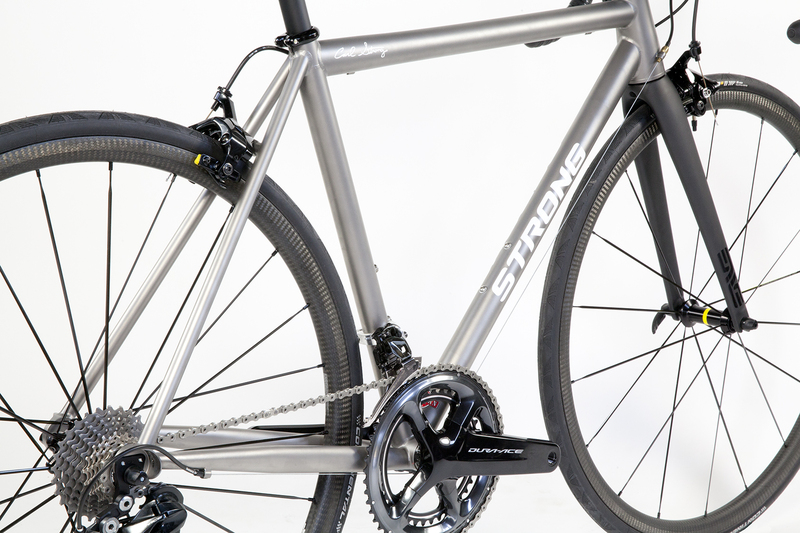 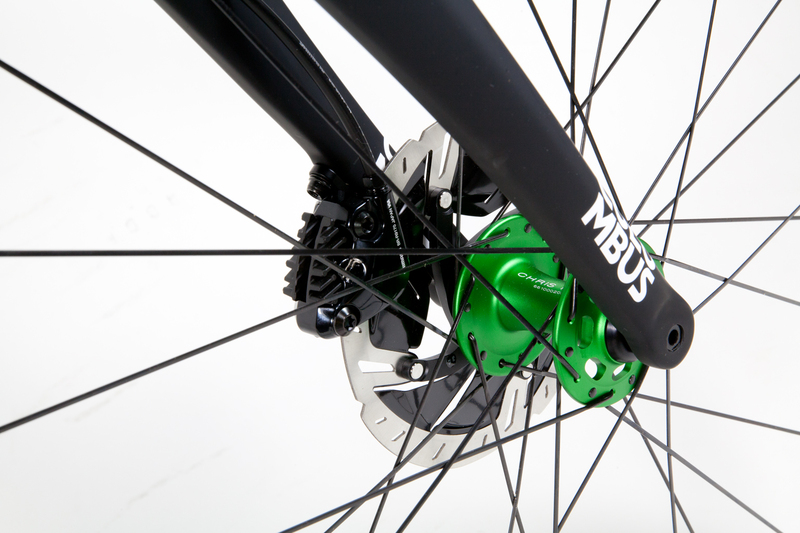 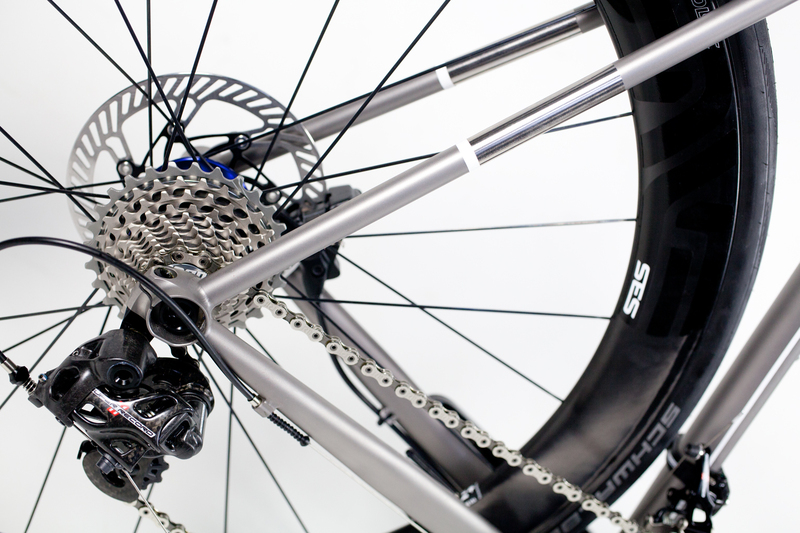 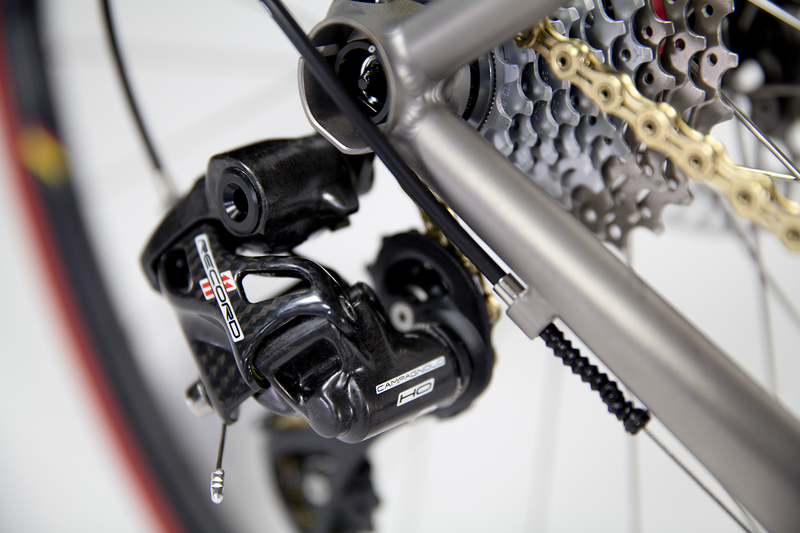 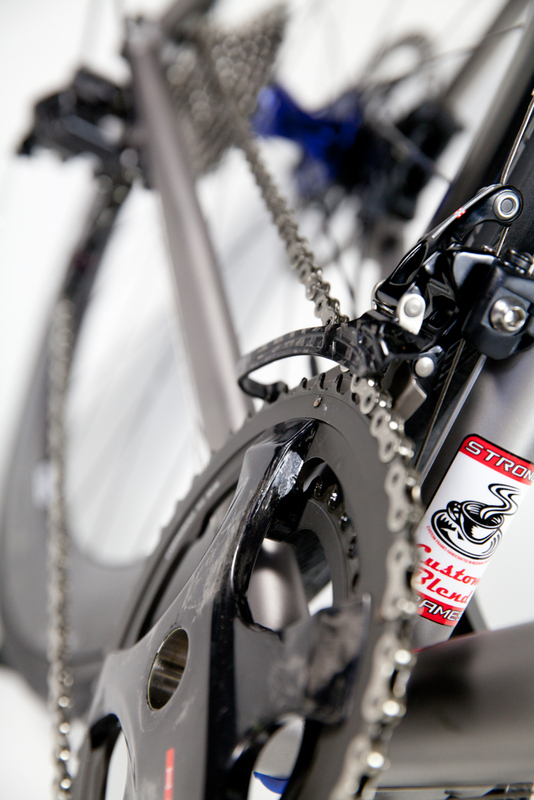 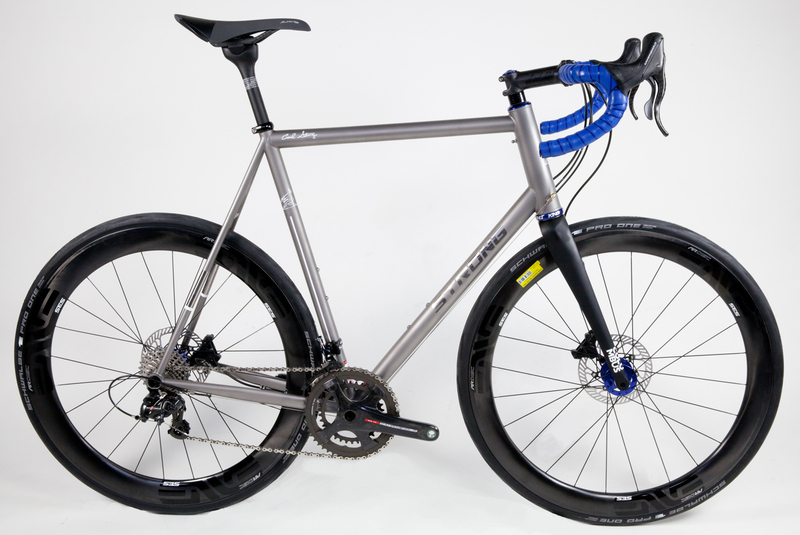 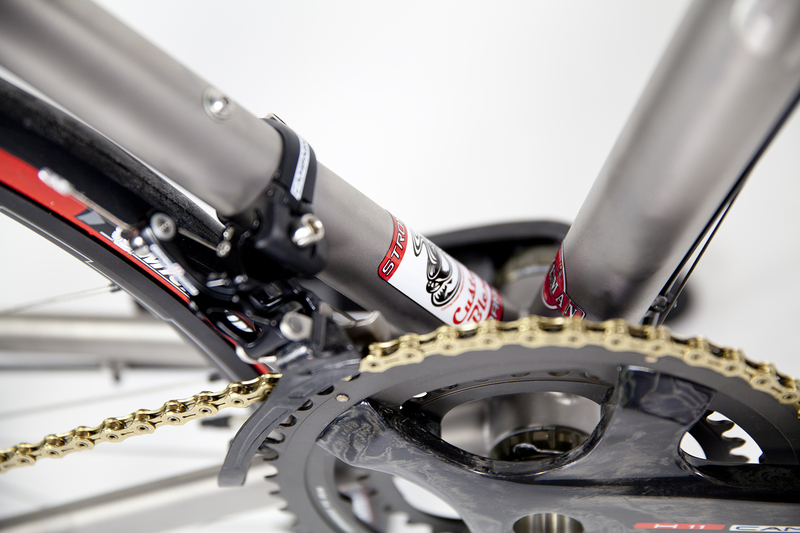 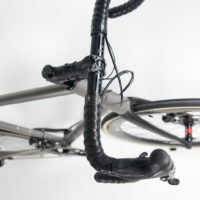 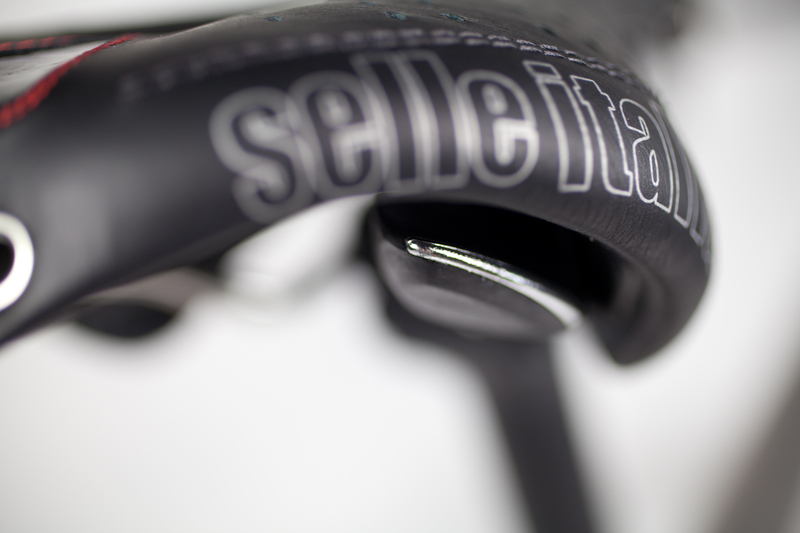 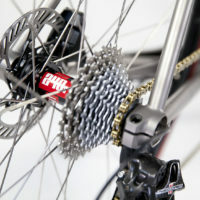 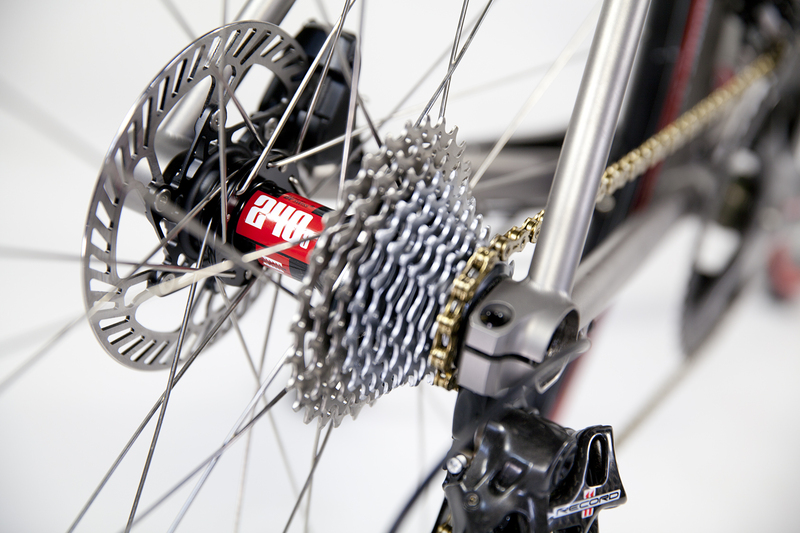 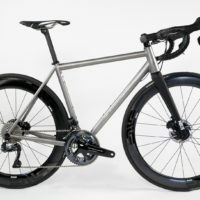 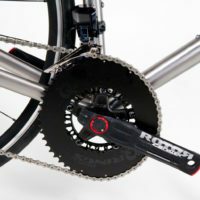 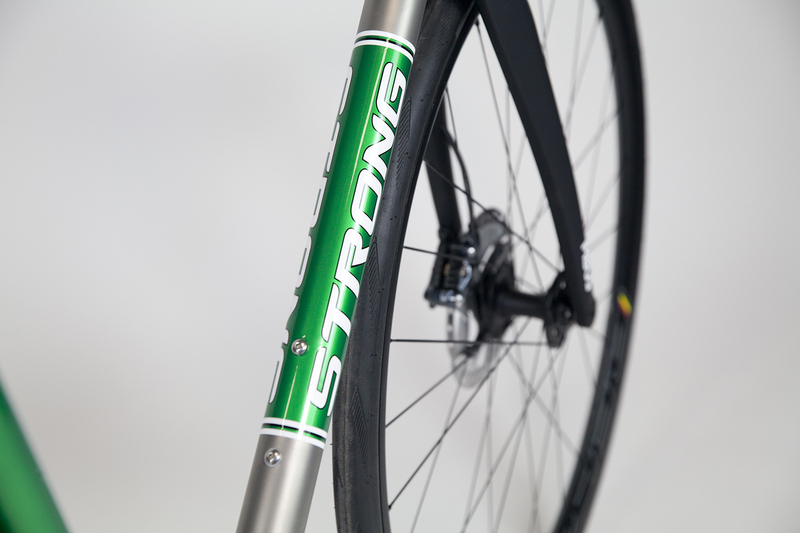 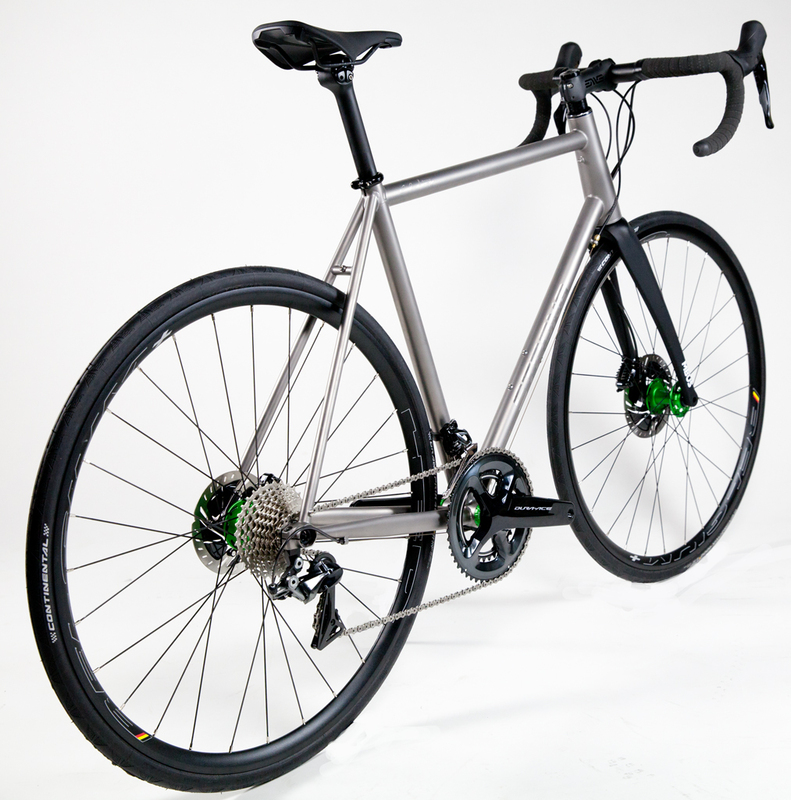 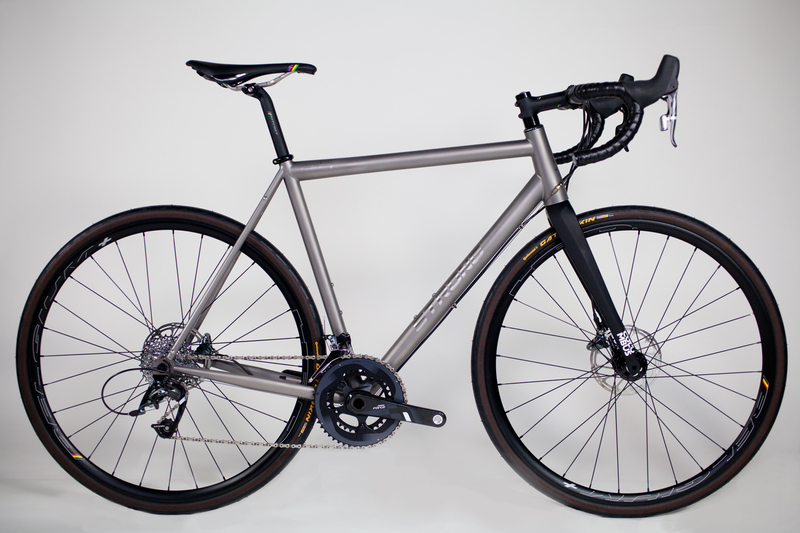 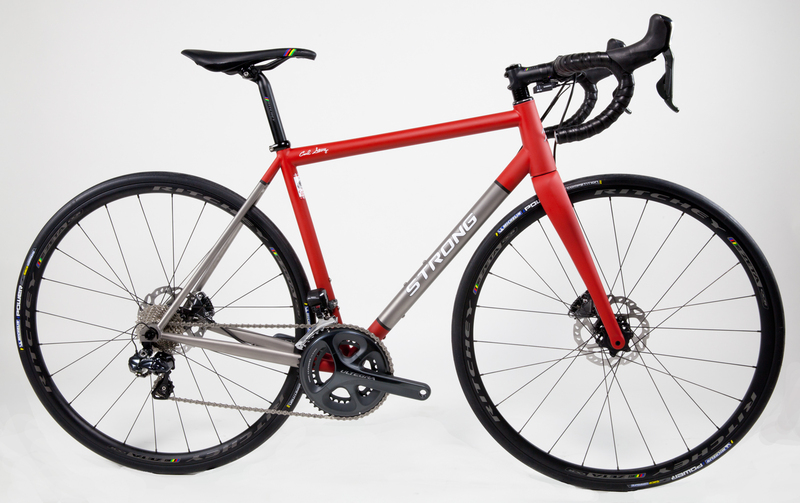 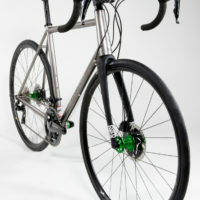 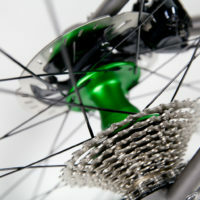 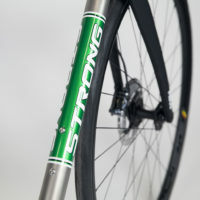 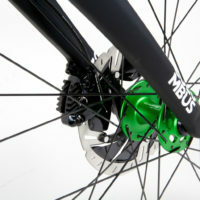 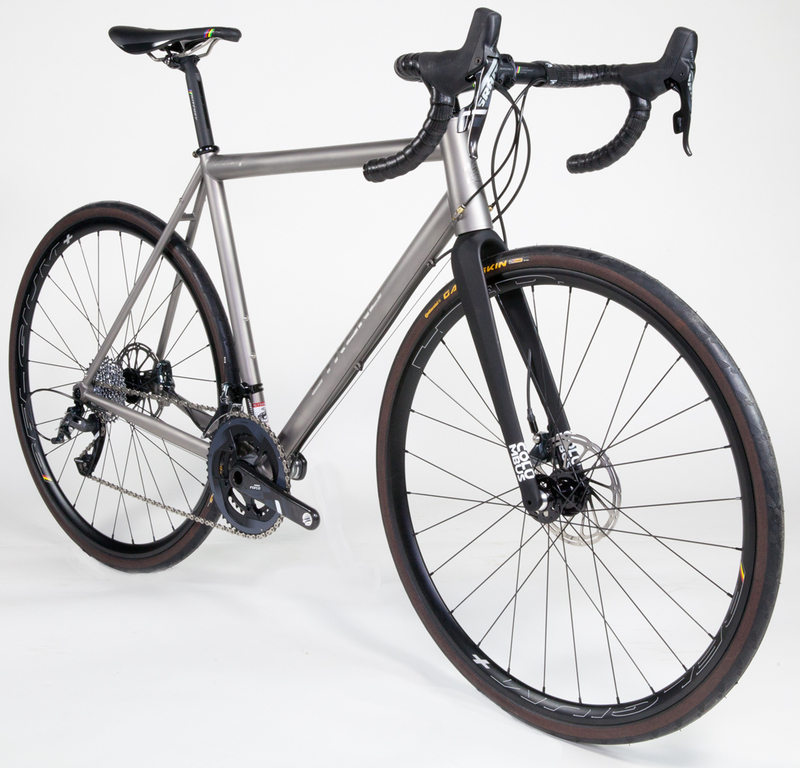 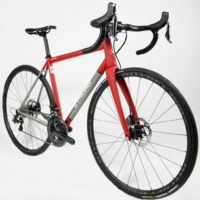 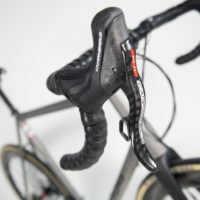 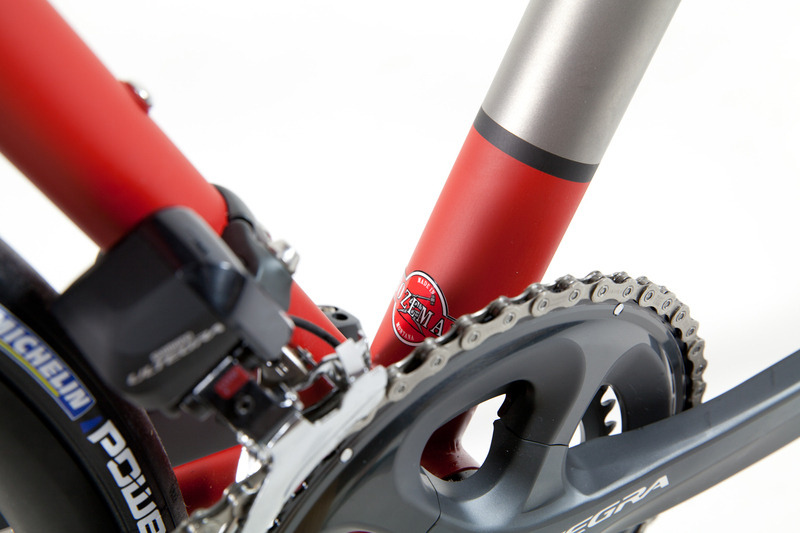 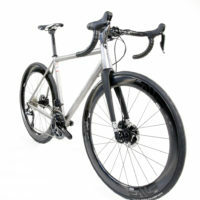 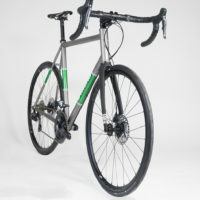 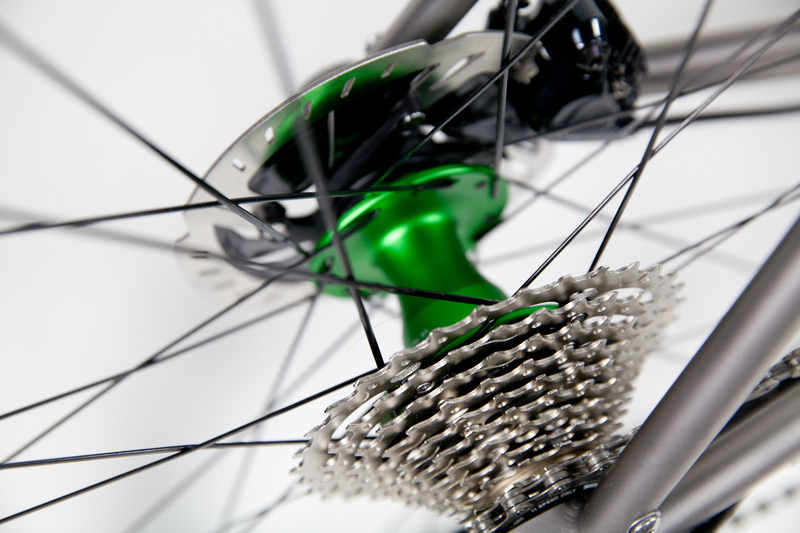 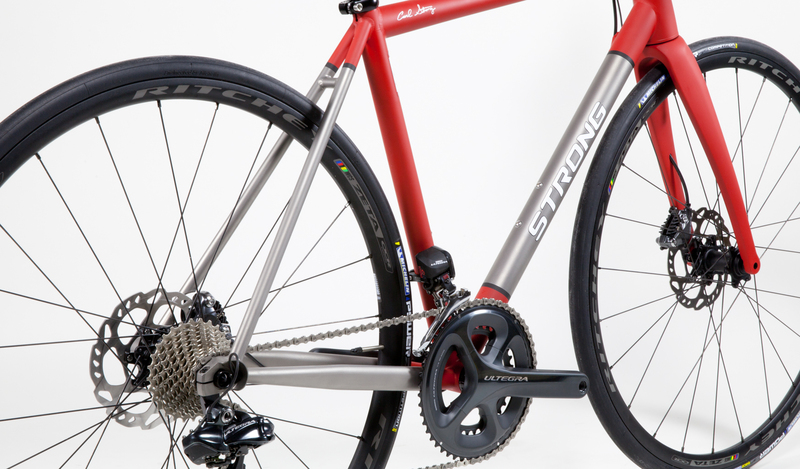 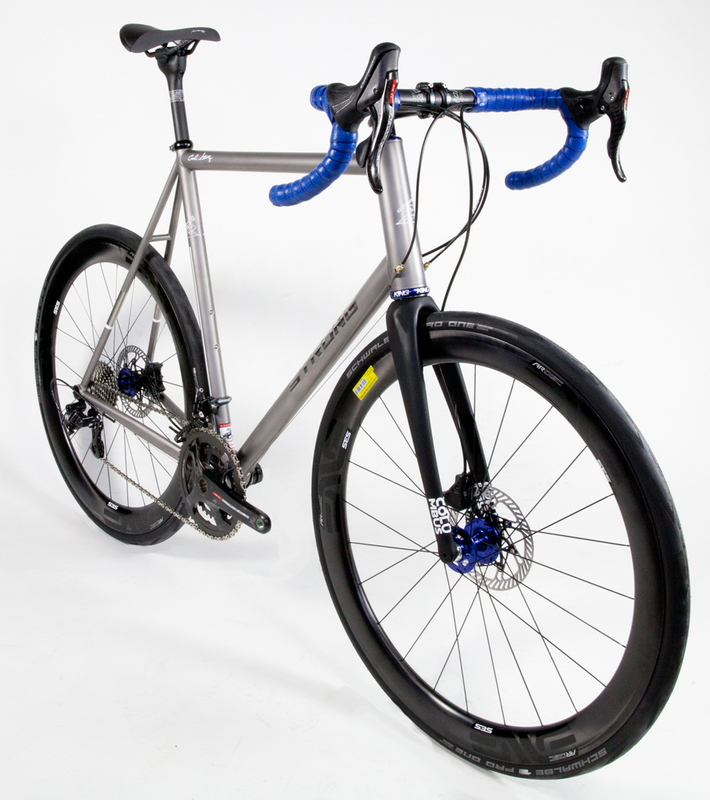 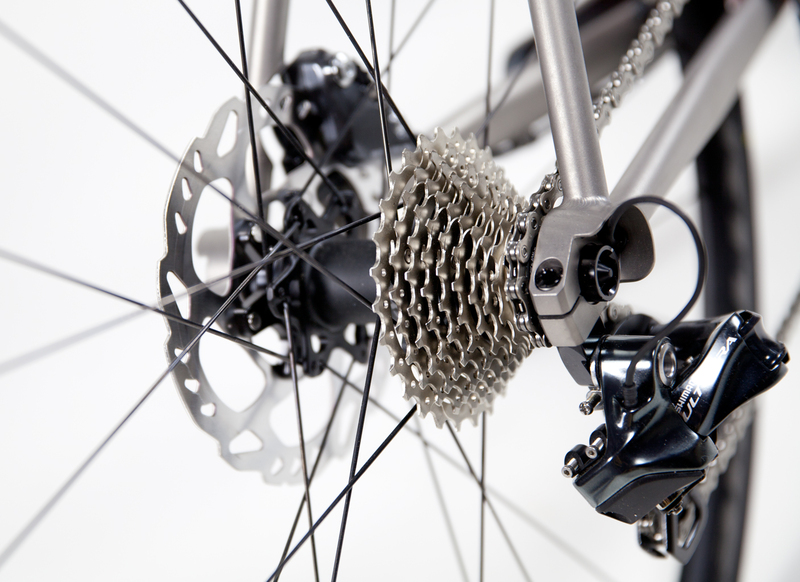 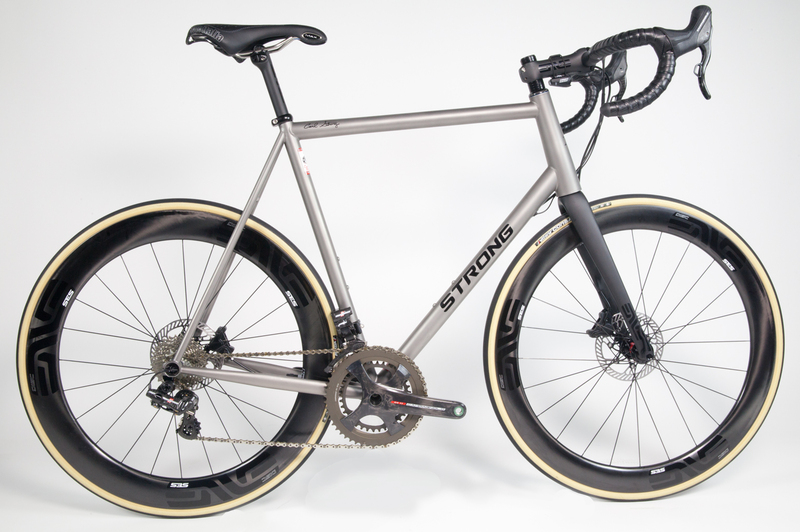 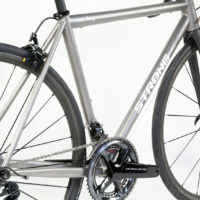 Double Butted Titanium Road with Campy Super Record and the new H11 disc brakes and crank. 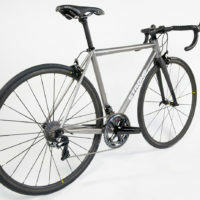 Titanium Disc Road Bike with Ultegra Di2 and Ritchey wheels and cockpit.